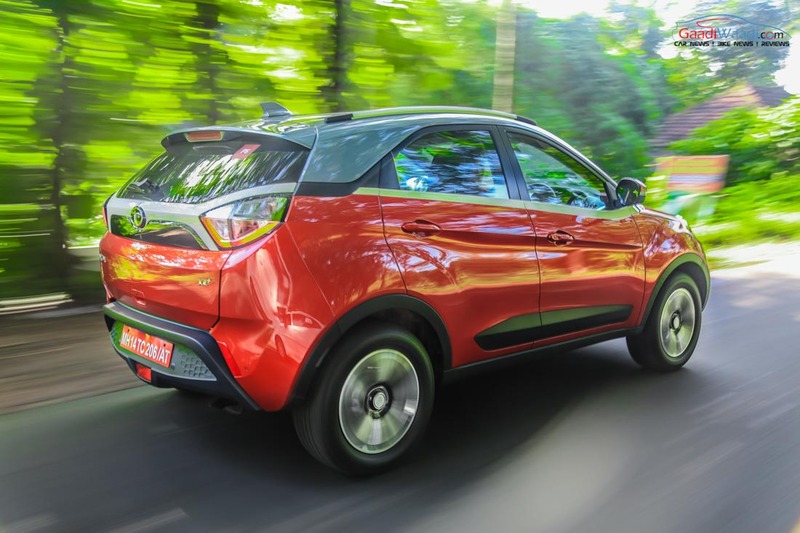 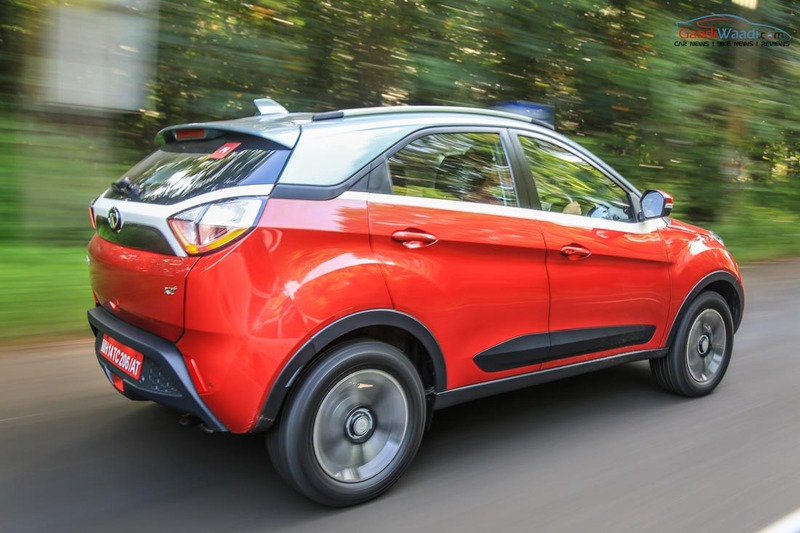 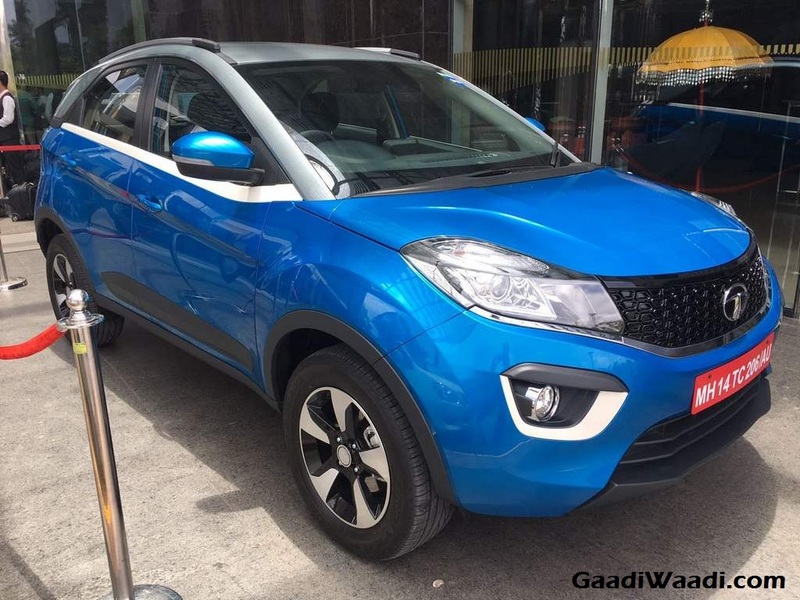 Tata Nexon was revealed at the 13th edition of the biennial Delhi Auto Expo to keep the ball rolling for the Indian auto maker in bringing an all-new product intended at the sub-compact SUV segment. 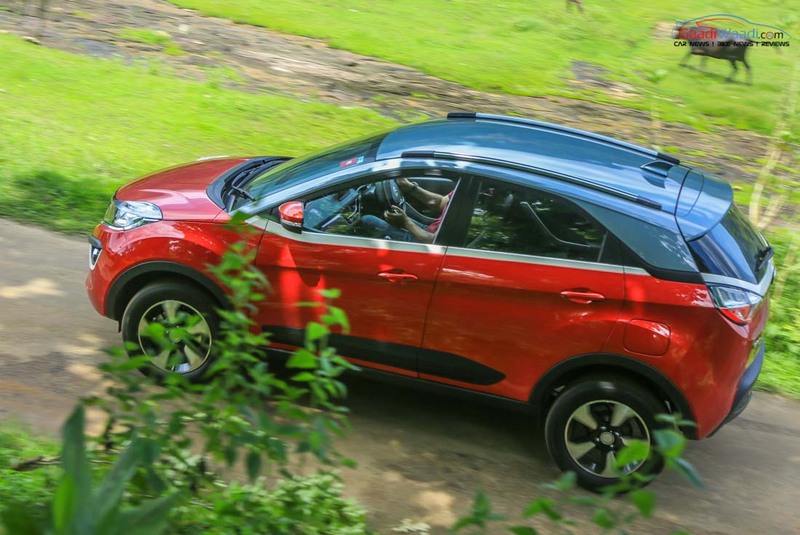 The new-found love among customers for SUVs has instigated manufacturers to invest in the subcompact SUV space in recent years with Ford EcoSport having set the initial benchmark. 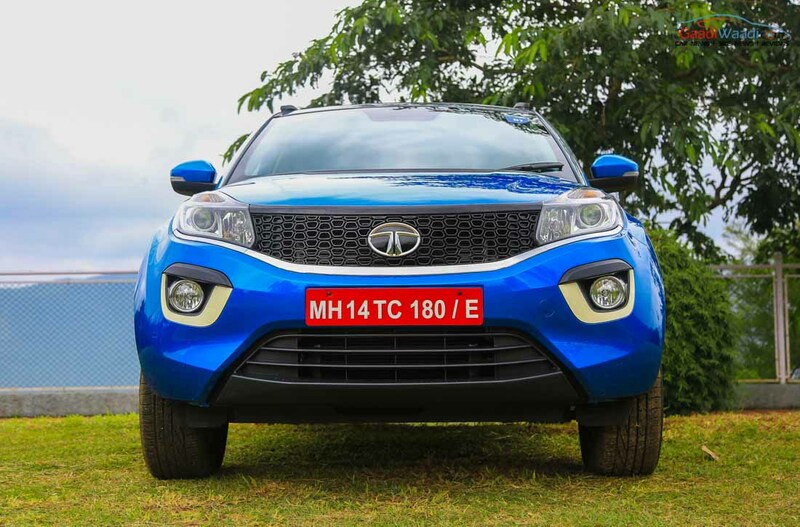 Mahindra followed up with the TUV300 and racked up welfare initially while the Maruti Suzuki Vitara Brezza went even better and has become the bestselling model in the UV segment altogether. 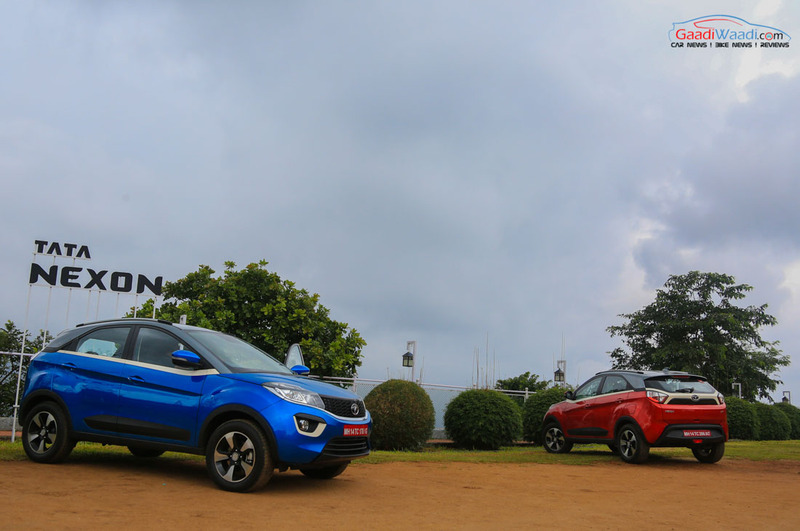 The competition rose up sky high as Tata introduced the Nexon with paramount of expectations bundled on its back with affordable pricing. 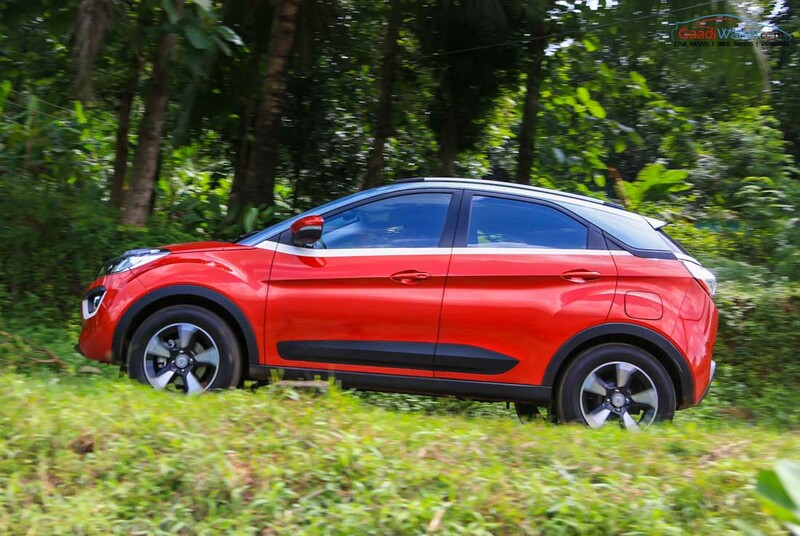 In September, the Nexon garnered 2,772 units while on an increasing trend 3,099 examples were sold the following month. 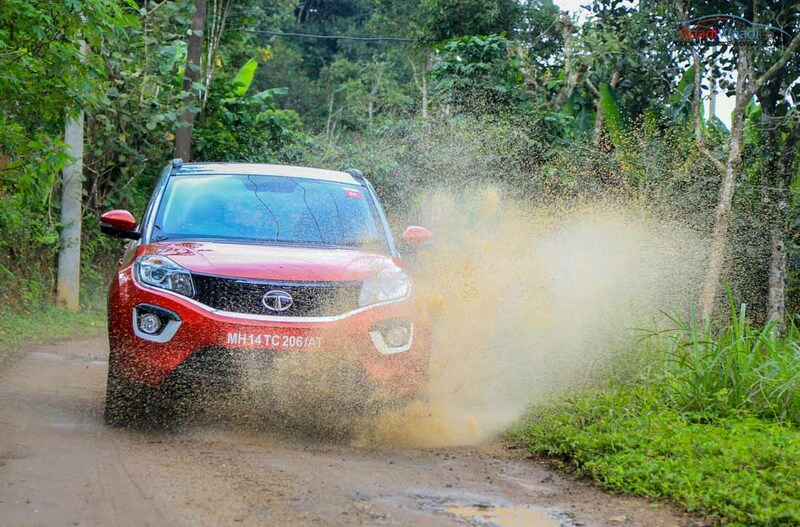 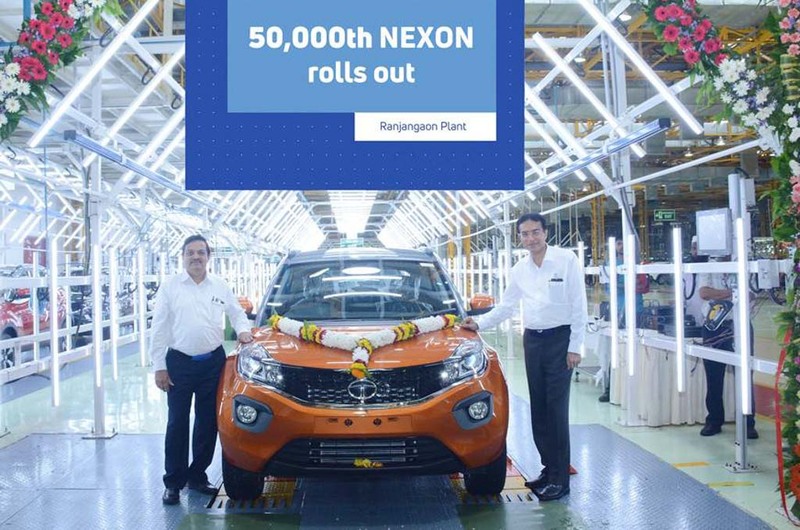 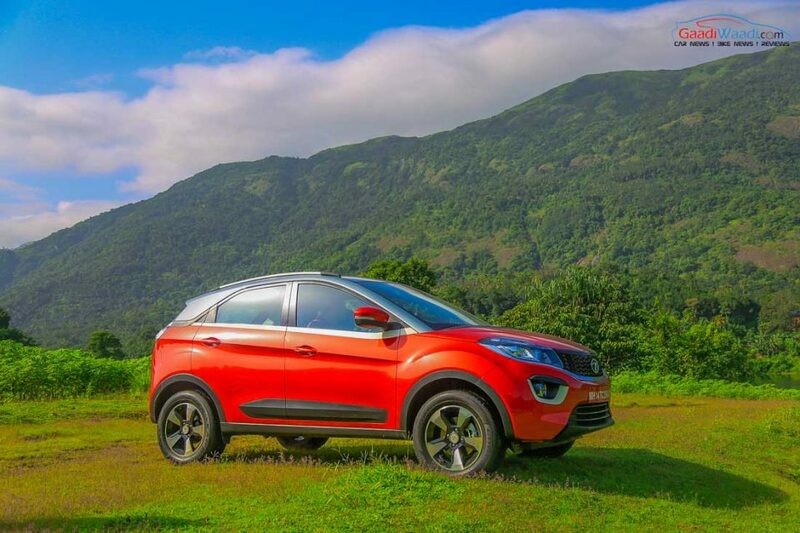 Having launched the SUV on the fourth week of September, Tata announced that 10,000 units of Nexon were rolled out from the Ranjangaon facility soon after and the production crossed over 25,000 mark by end of February 2018. 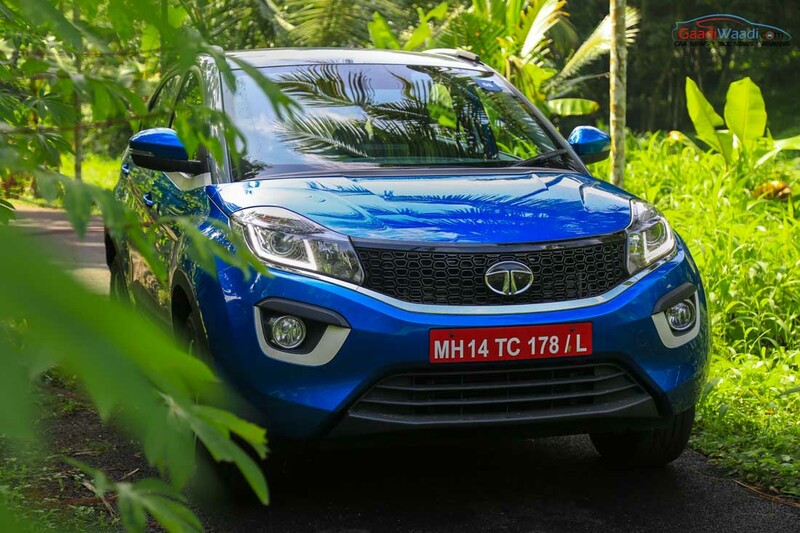 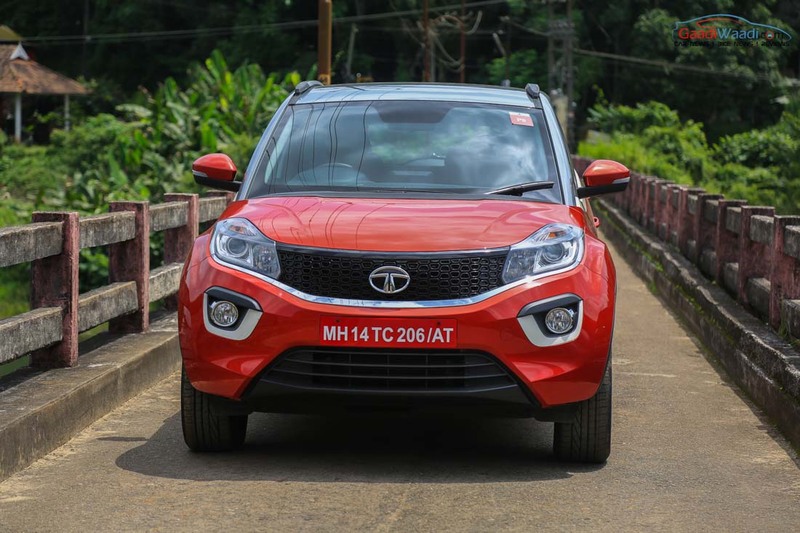 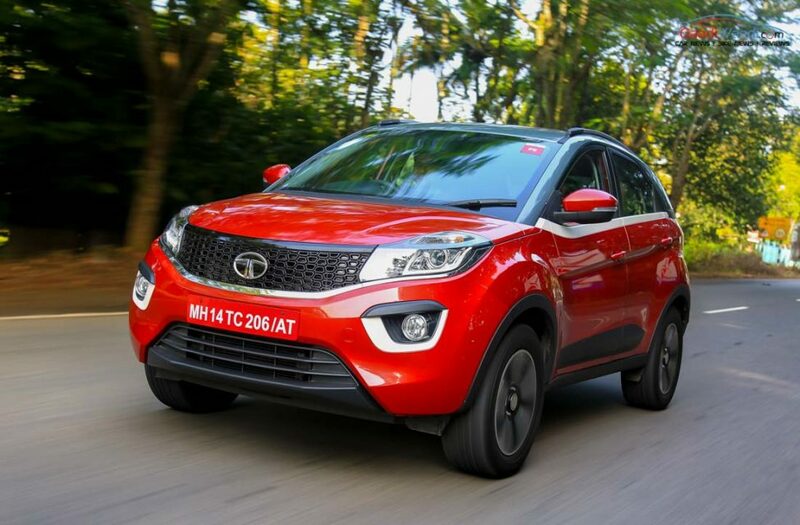 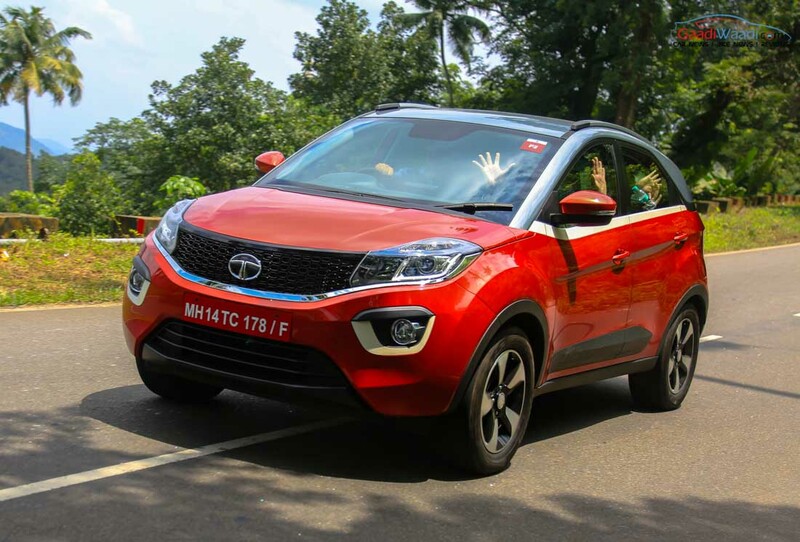 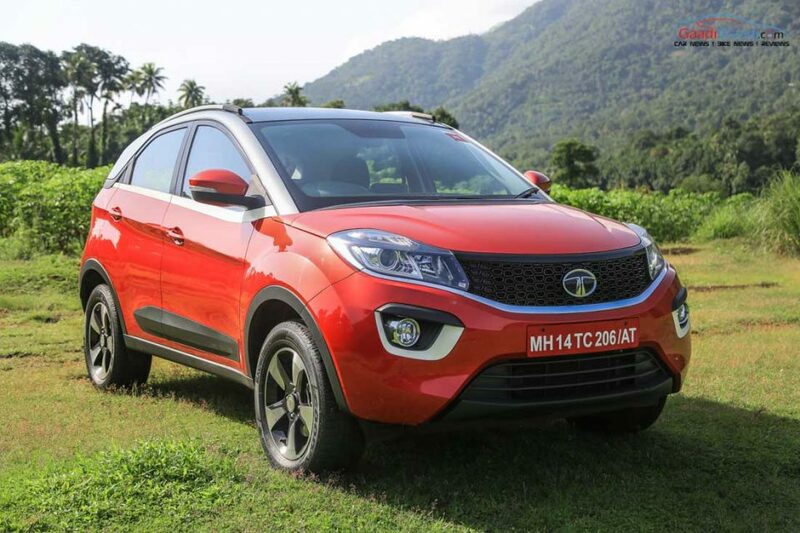 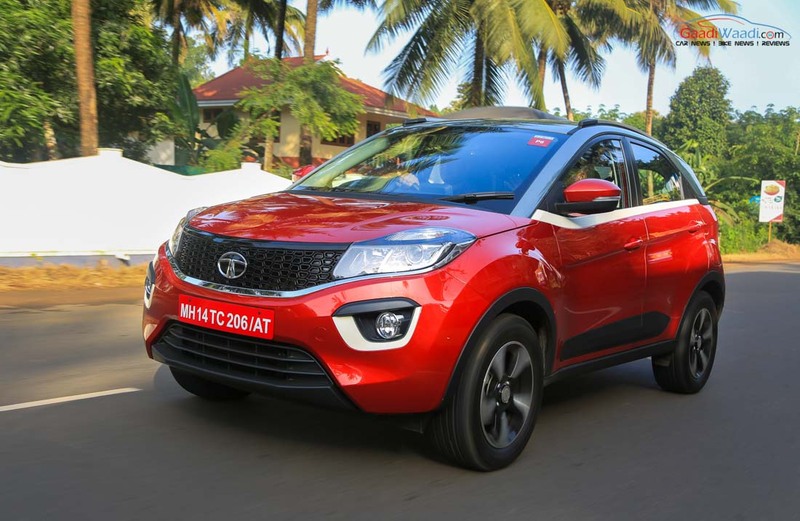 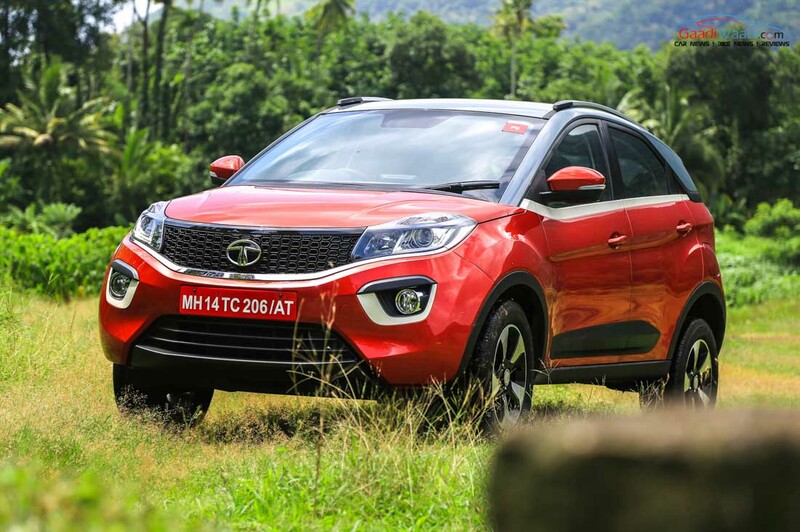 In the first month of 2018, Tata retailed nearly 5,000 Nexons emphasising its increasing popularity every month and beat some of the established rivals in its segment. 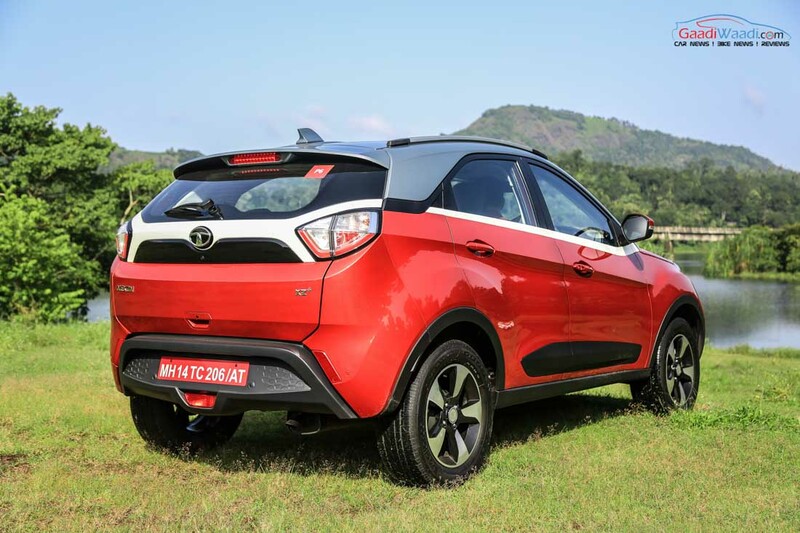 With consistent sales throughout the year, the production has now gone past 50,000 units. 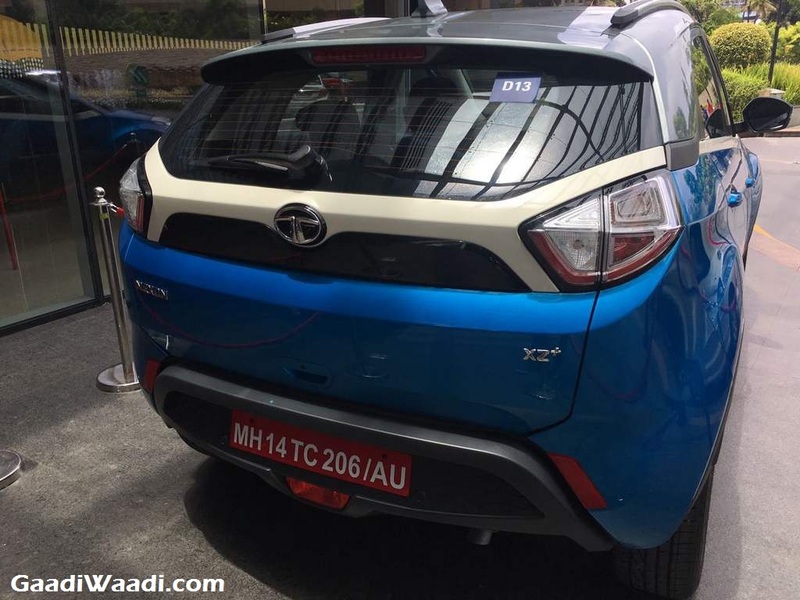 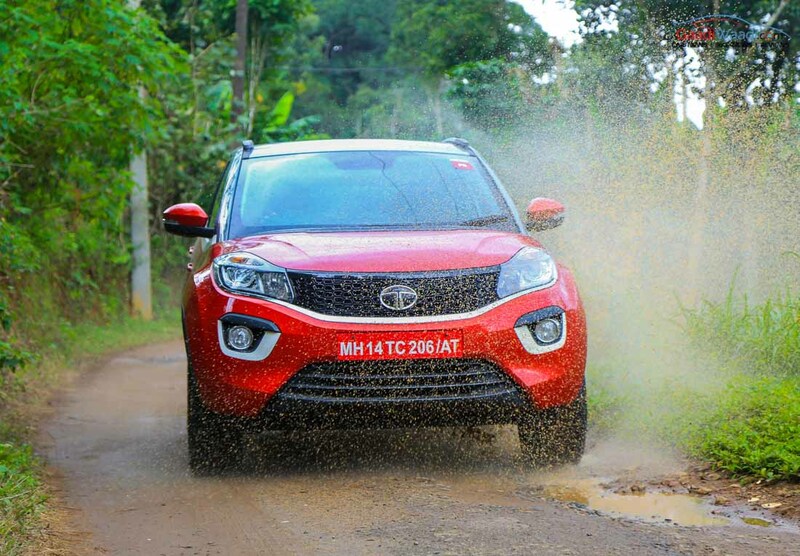 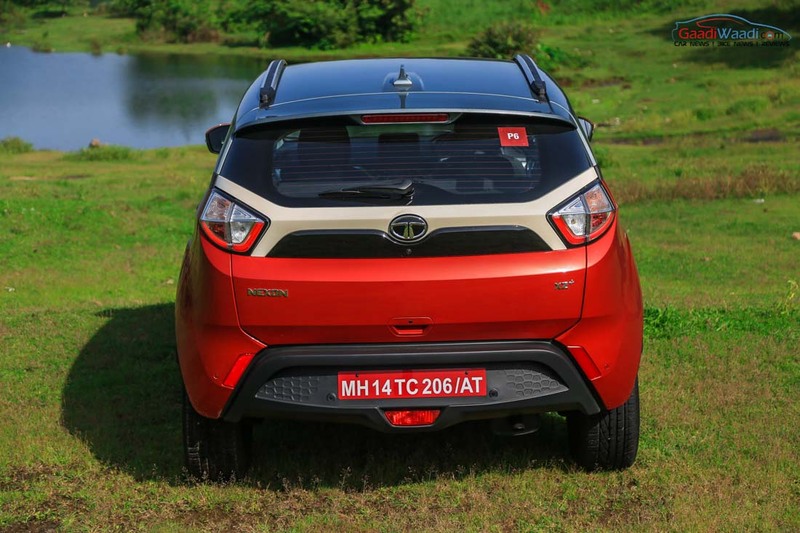 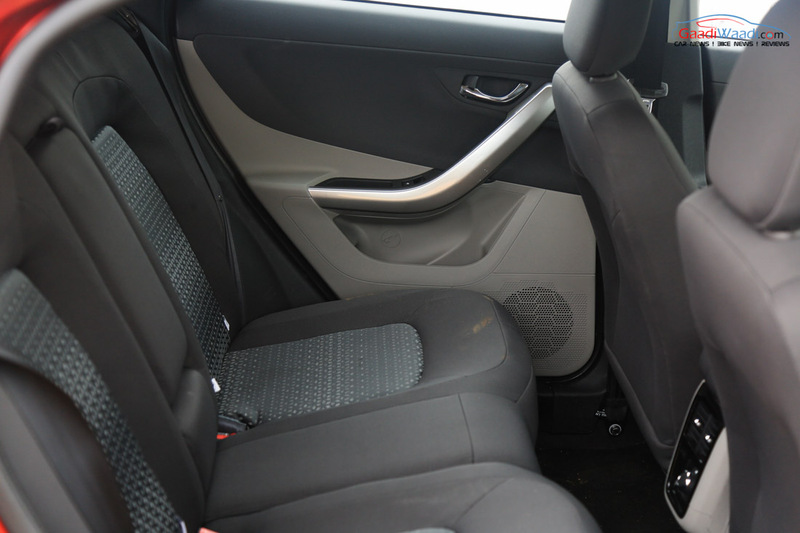 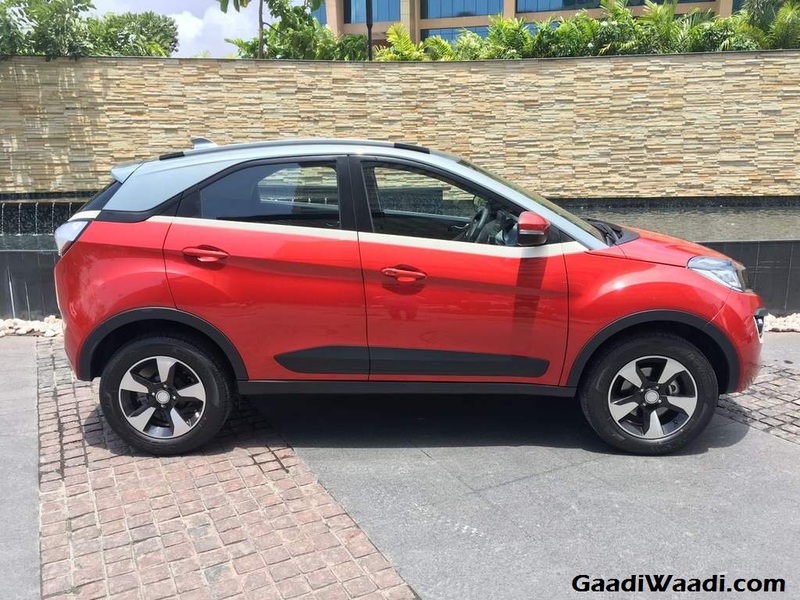 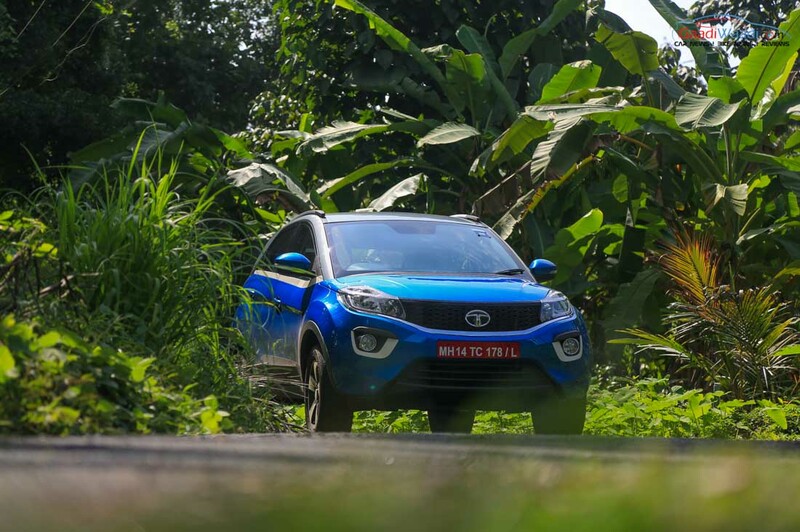 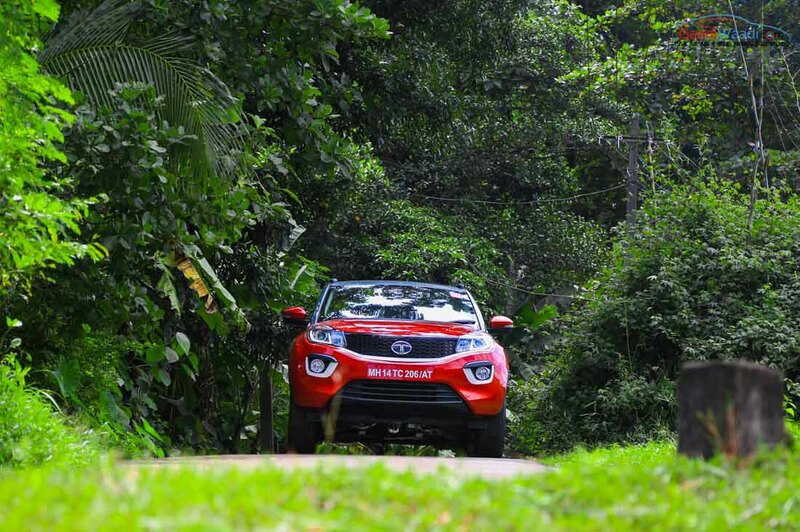 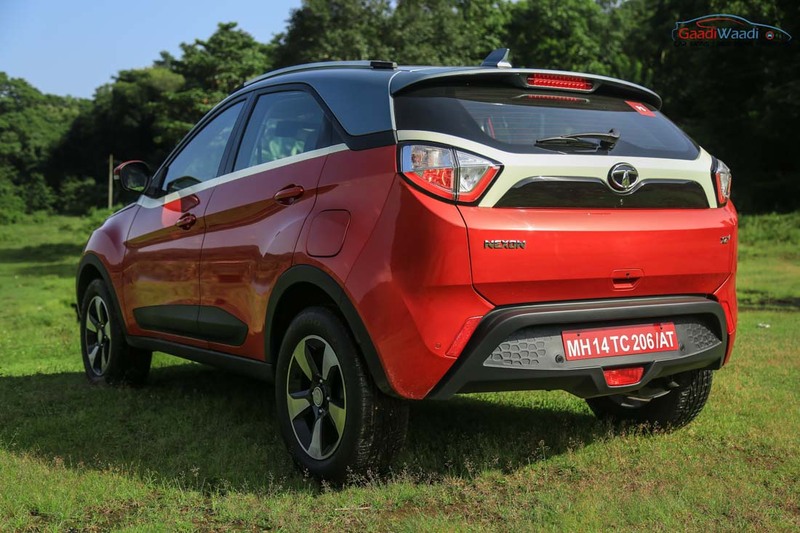 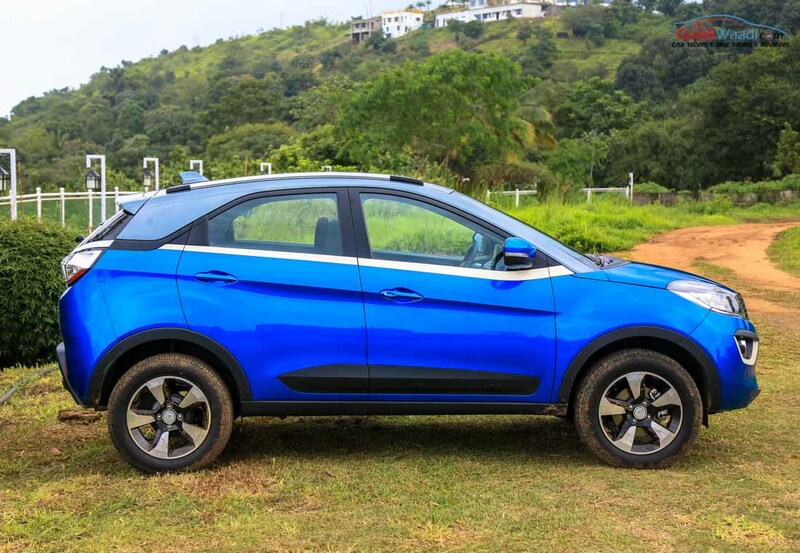 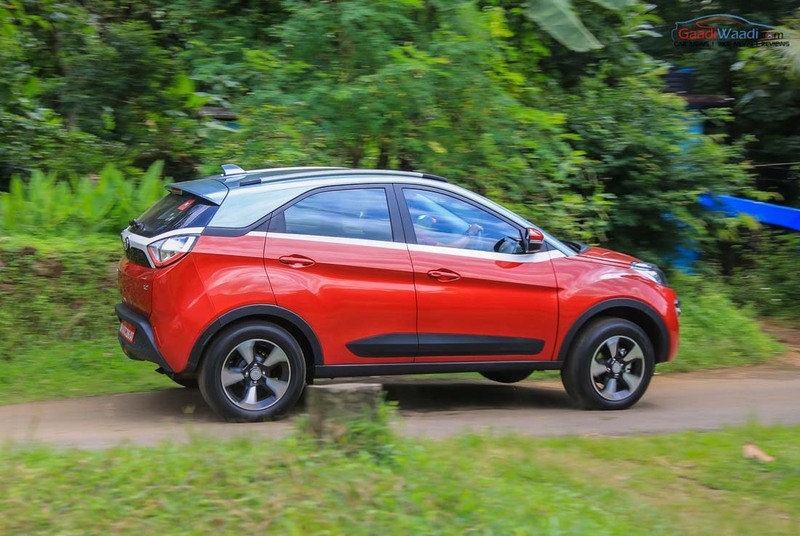 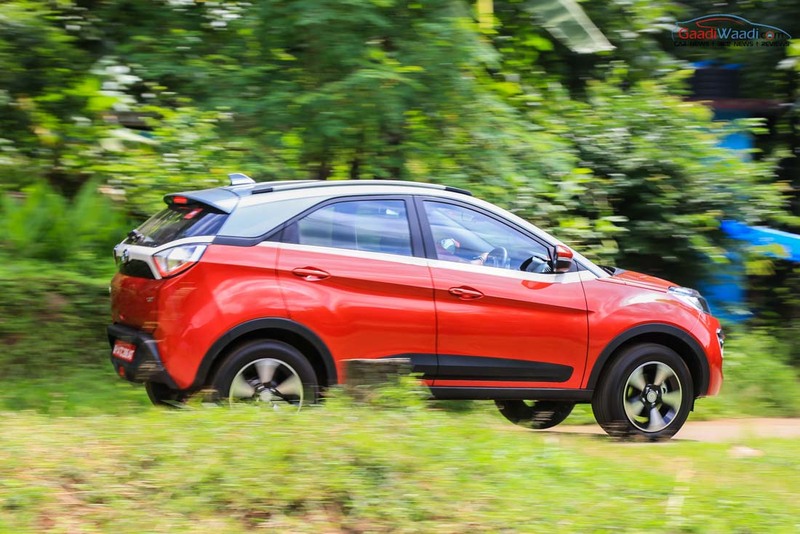 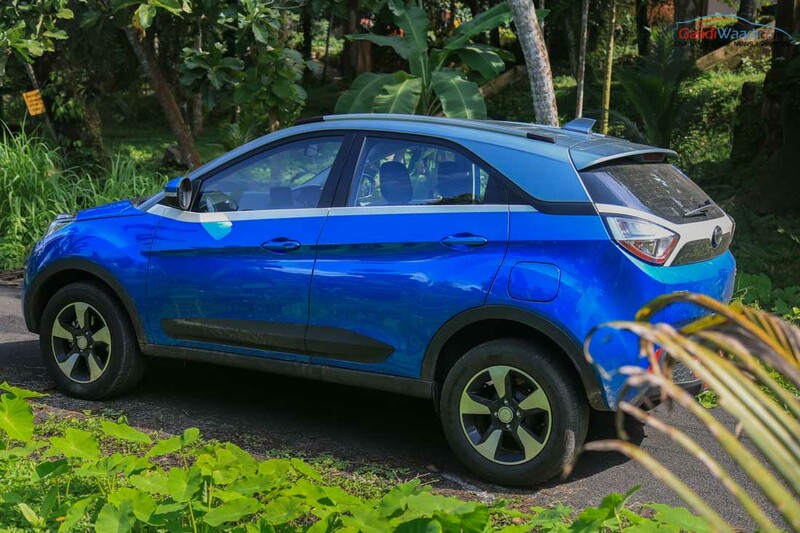 The Tata Nexon is constructed on a heavily-modified Indica platform and shaped on the new-gen Impact design ethos. 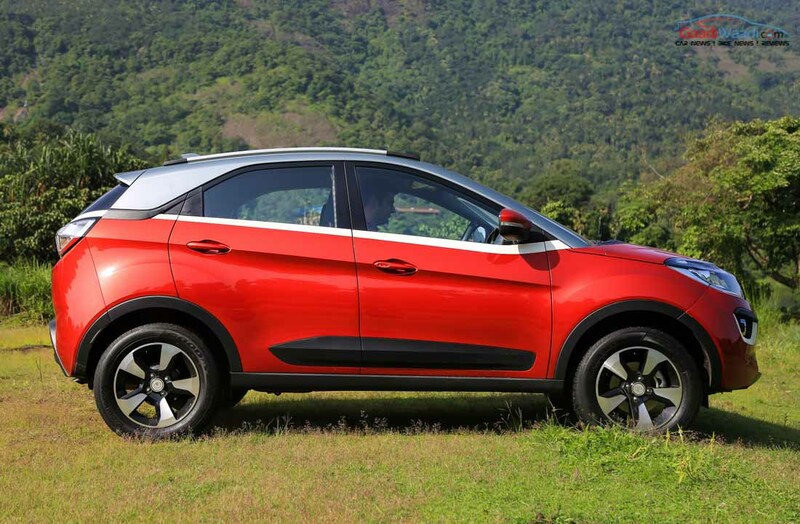 The new arrival from the Indian auto giant has starting price of Rs. 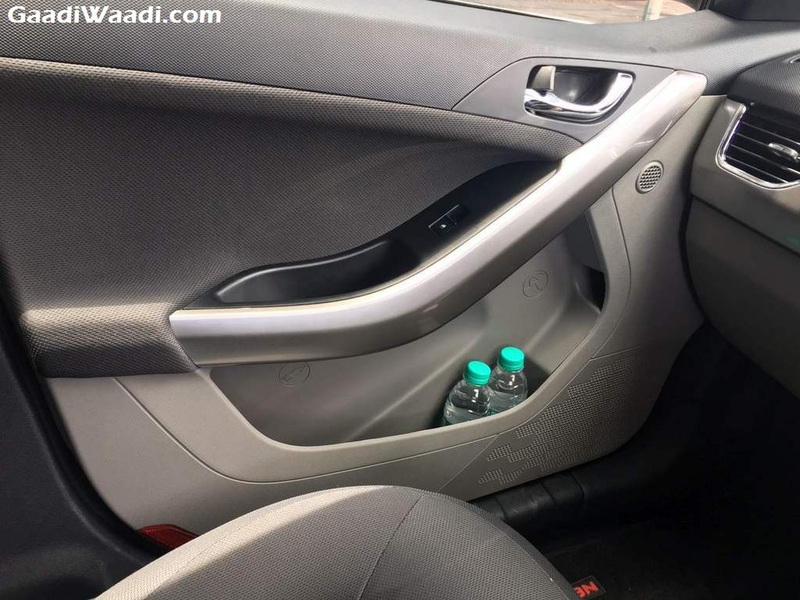 6.29 lakh for base XE petrol and it goes up to Rs. 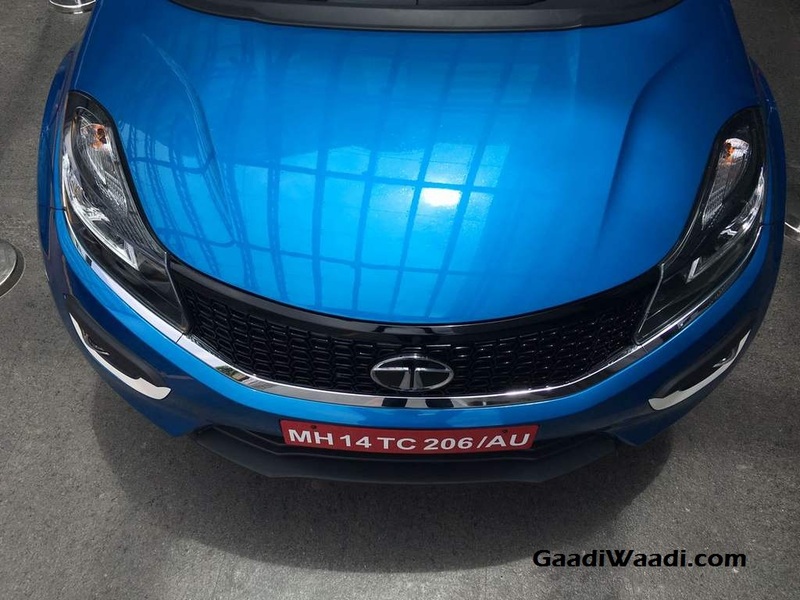 10.70 lakh for the range-topping diesel. 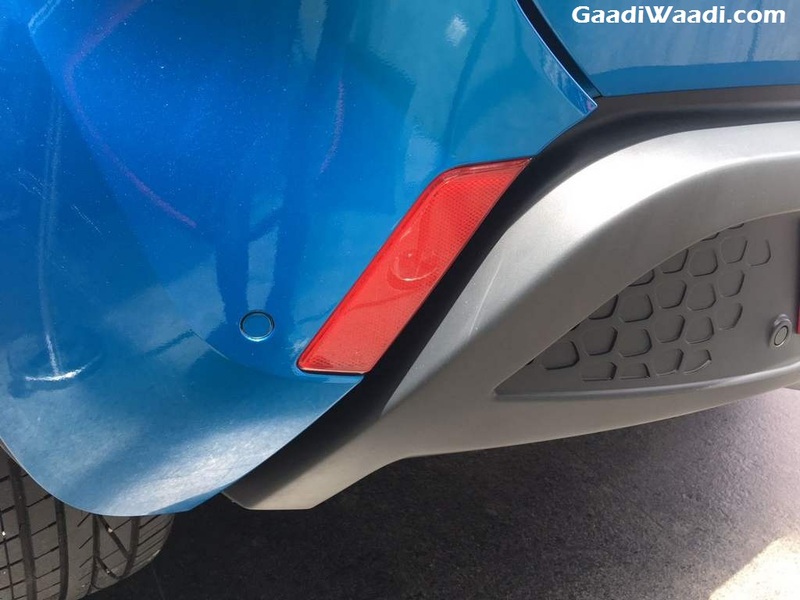 It measures about 3,994 mm in length, 1,811 mm in width, 1,607 mm in height and gains a wheelbase of 2,498 mm. 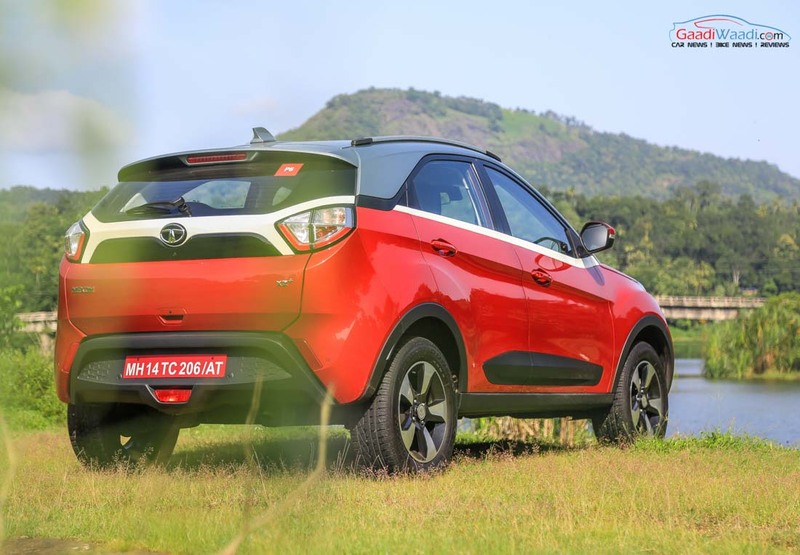 It has fuel tank capacity of 44 litres, bootspace of 350 litres that can be extended to 690 litres when rear seats fold down flat and commendable ground clearance of 209 mm. 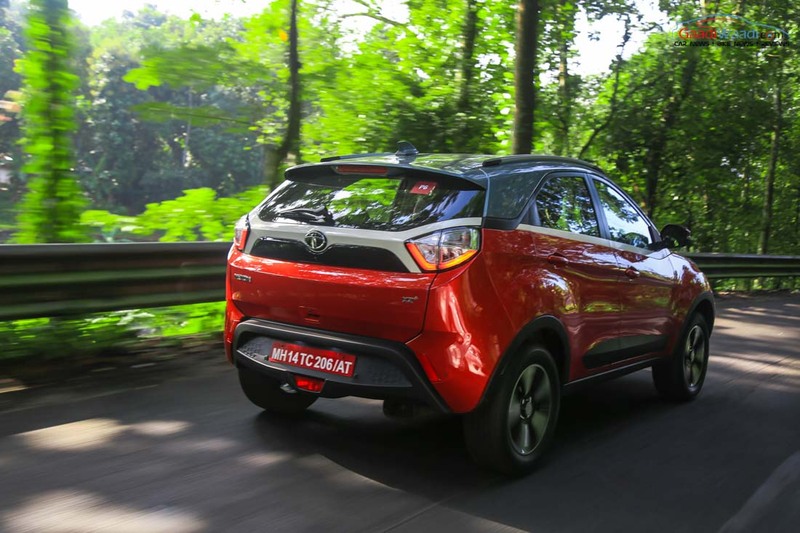 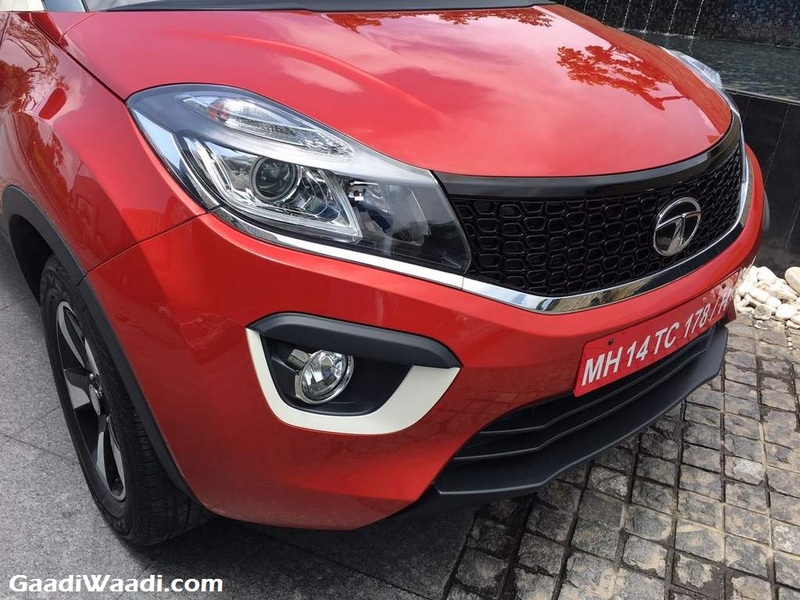 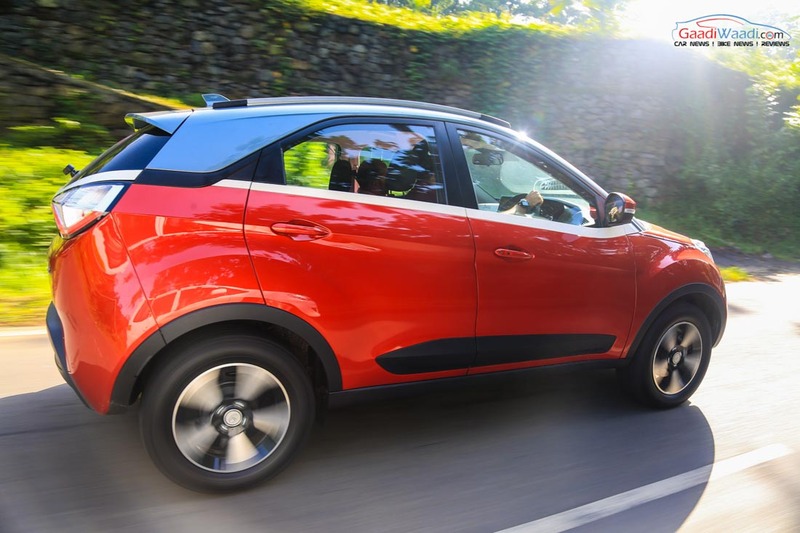 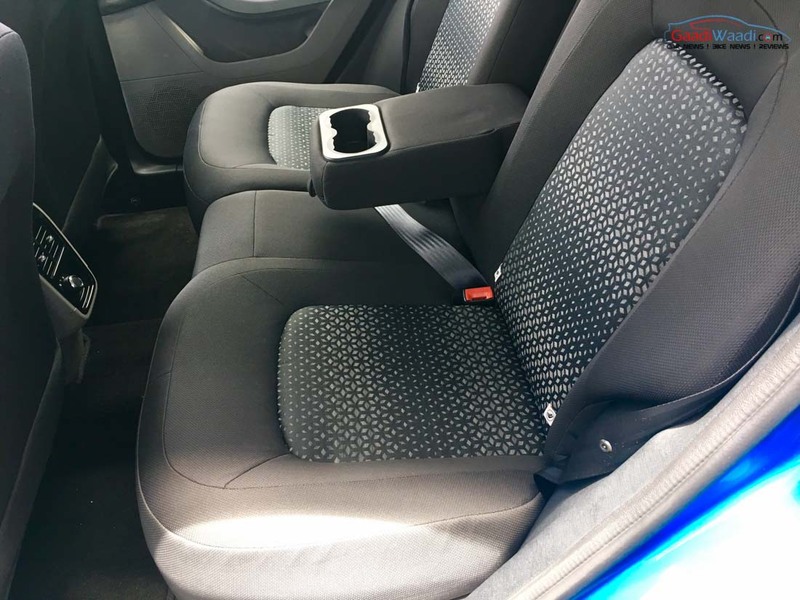 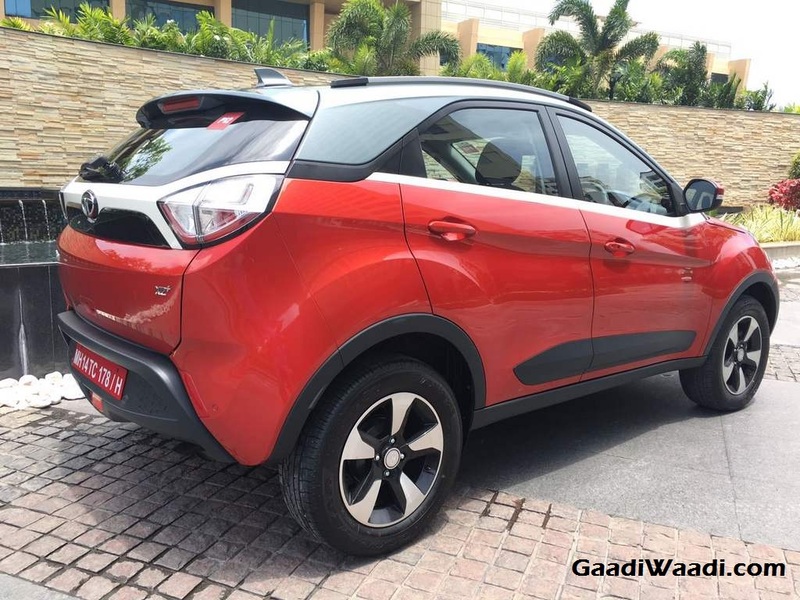 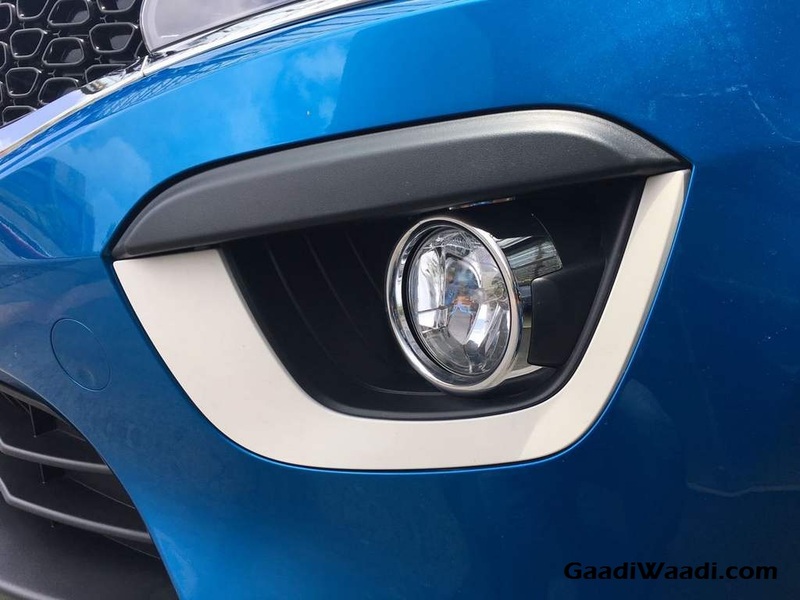 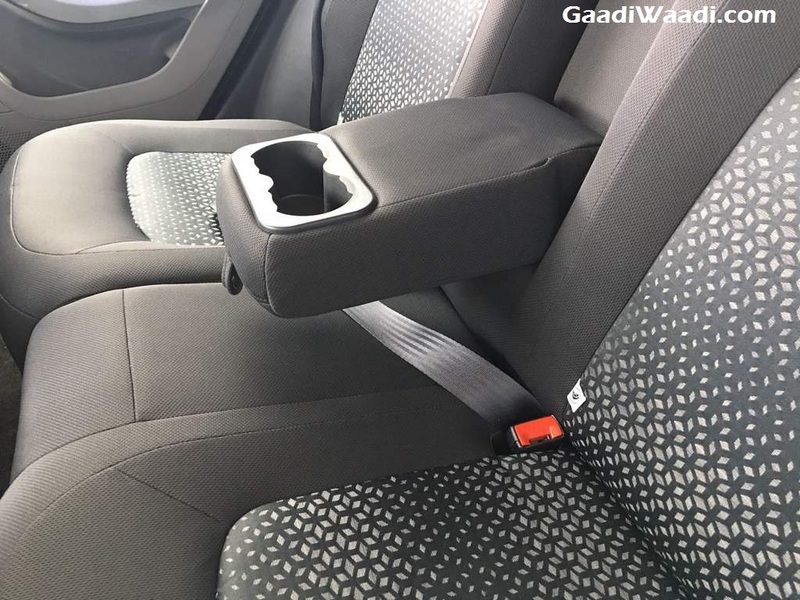 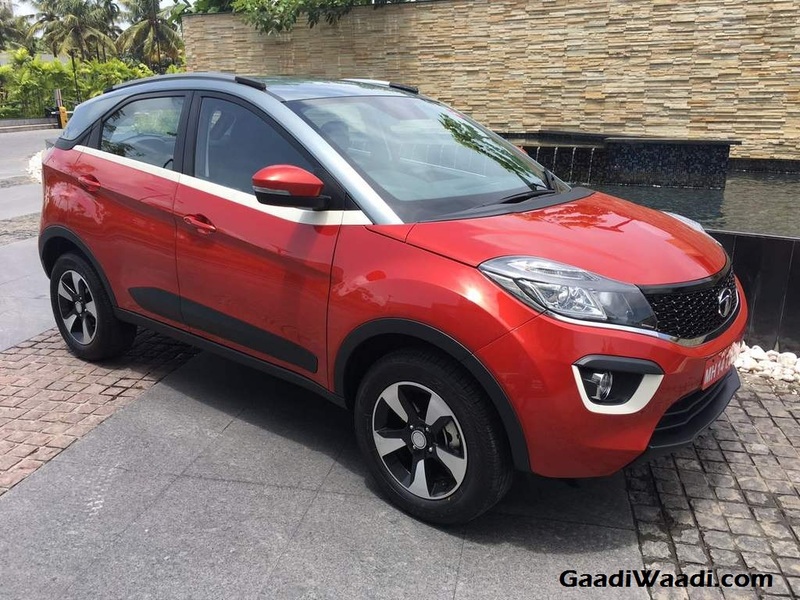 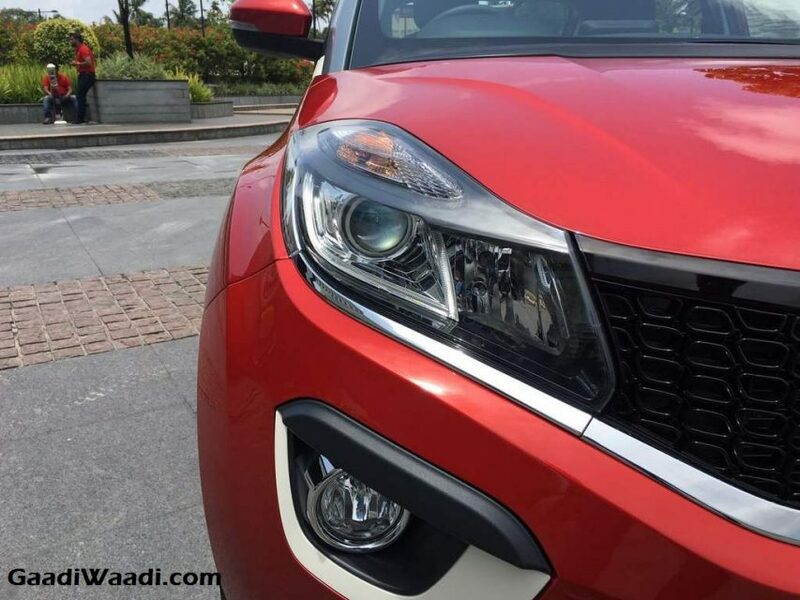 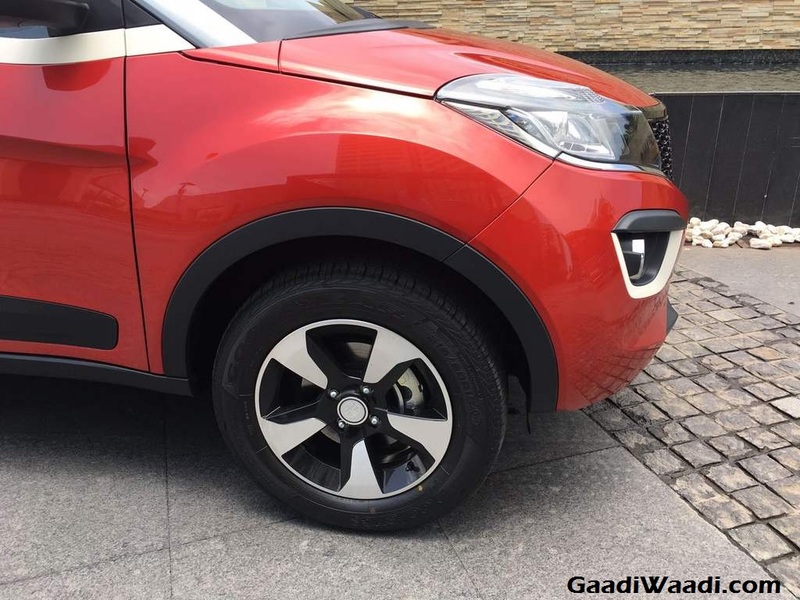 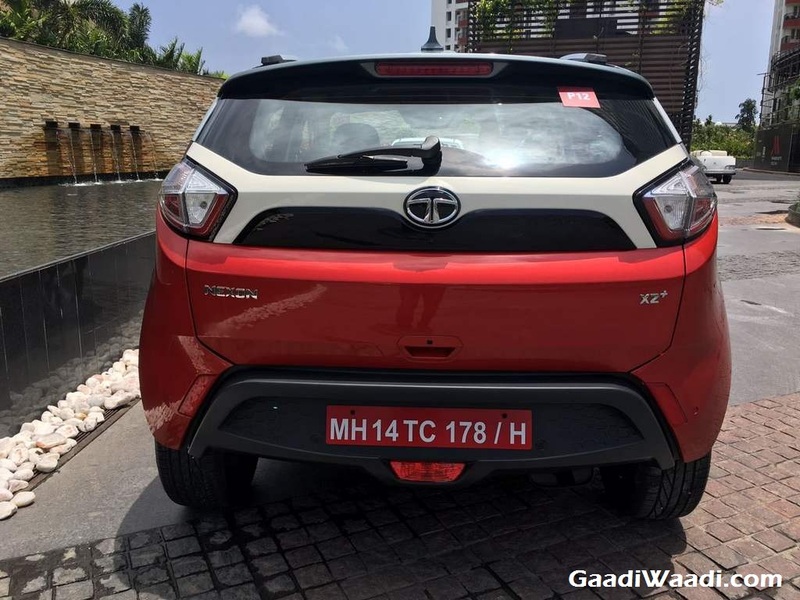 The Tata Nexon five-seater SUV is based on a new platform that has its origins in the X1 Indica architecture underpinning the well-received Tata Tiago hatchback. 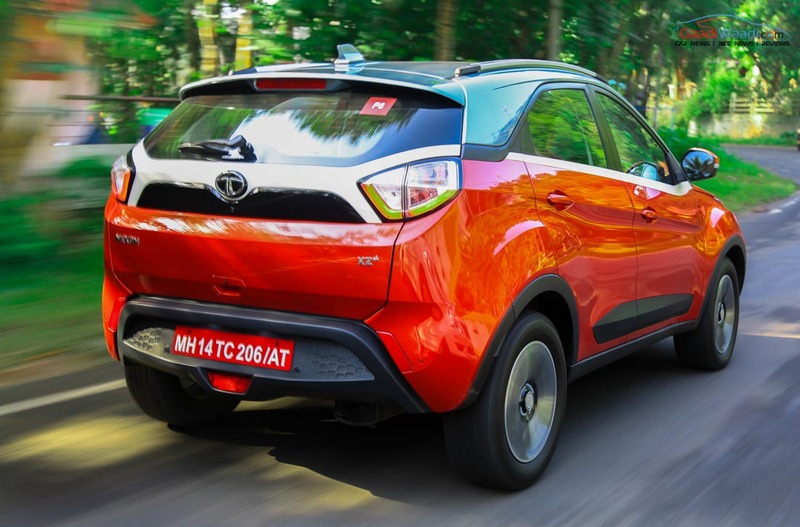 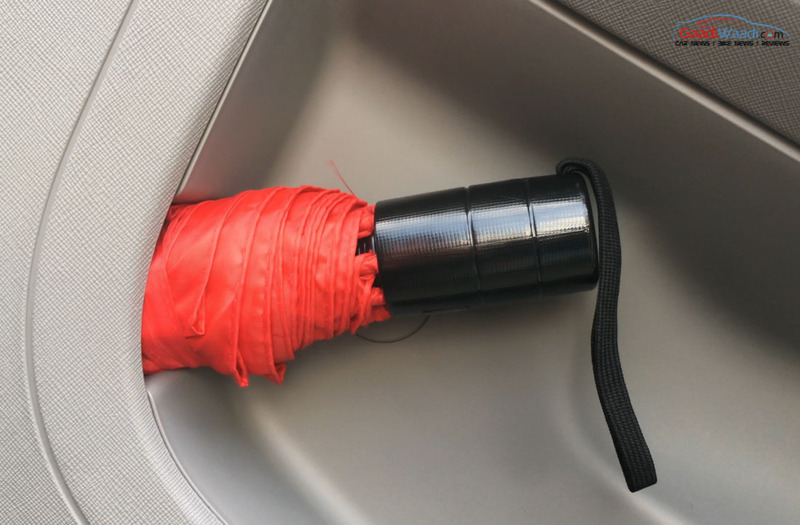 To bite down the soaring production costs, the sub-compact SUV will share several components and equipment with the Tiago. The five-seater SUV draws design inspirations from the Range Rover Evoque and thoroughly based on the Nexon concept unveiled at the 2014 edition of Auto Expo. 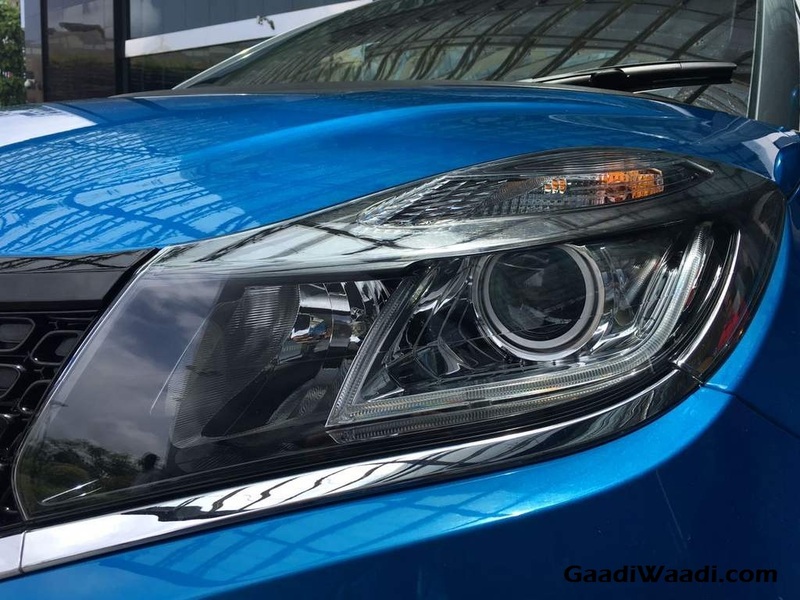 It sticks by the new generation Impact design philosophy with a swoopy profile and flowing character lines. 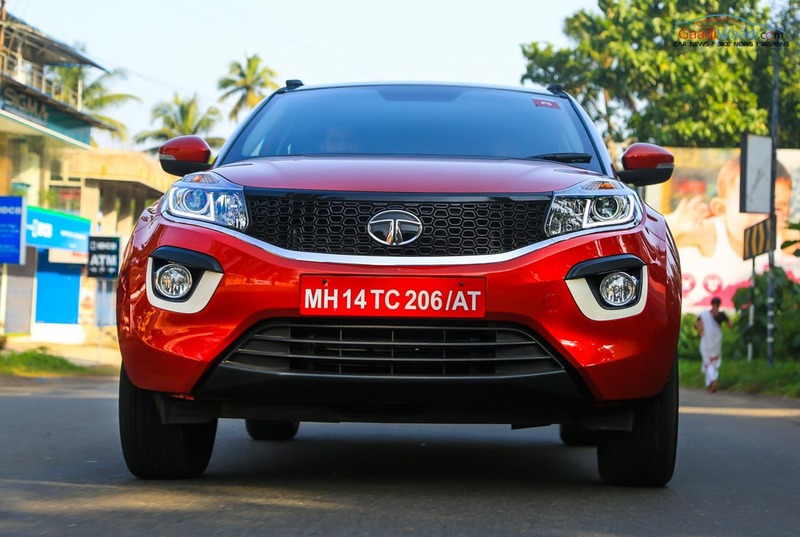 It has a contemporary design unlike the original concept with with hexagonal mesh black front grille, silver-lined LED headlamp cluster, white bordered round-ish fog lamps, stacked-out lower airdams, prominent black body cladding on the sides from tip to end, bespoke wheel arches, floating-roof with black pillars, chrome beading on sills of windows, sloping roofline that could hurt rear cabin space, etc. 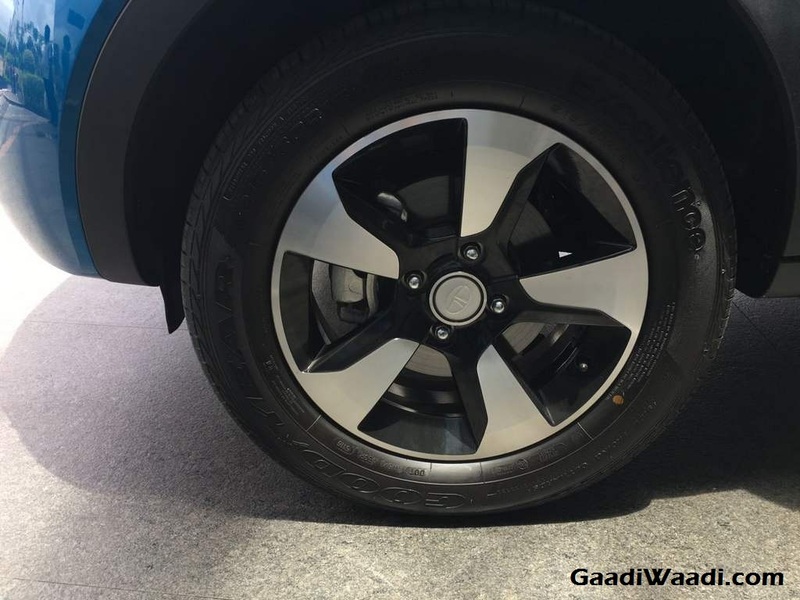 The top-of-the-line variant could sit on the bigger 17-inch alloy wheels whilst other variants could get standard 16-inch wheels with 215/65 R16 tyres. 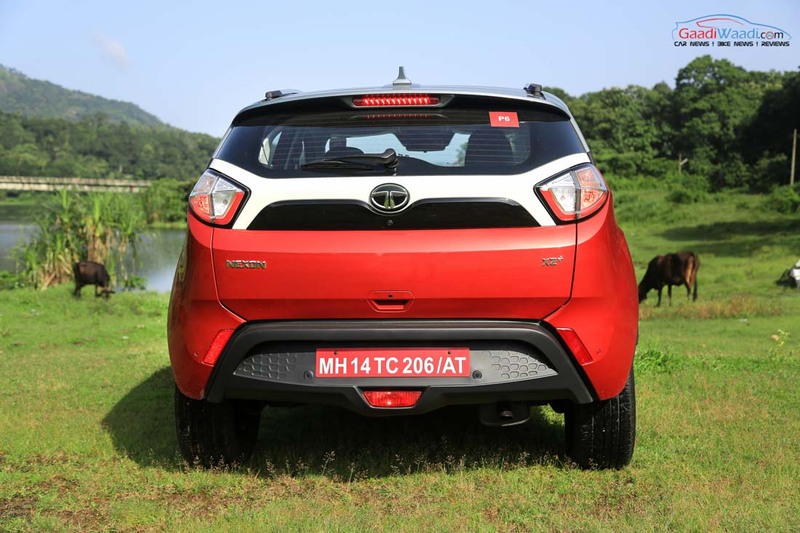 It could get a high ground clearance of 200 mm with spare wheel mounted underneath. 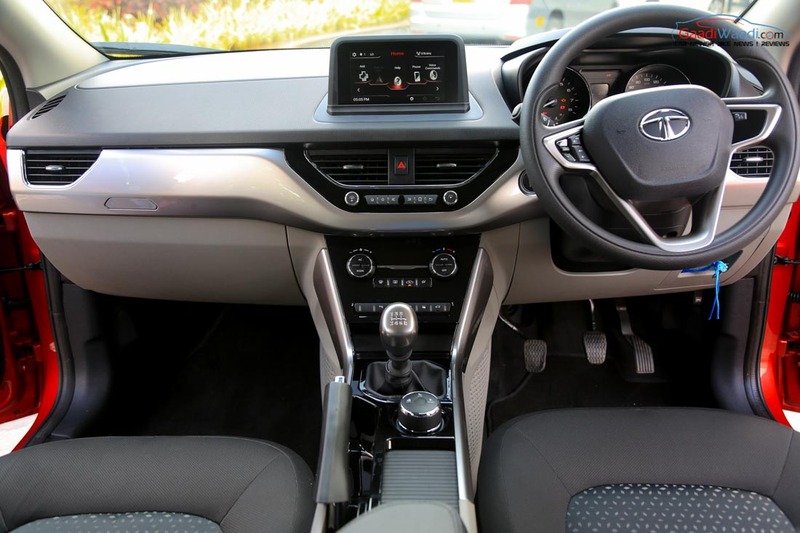 Stepping on the inside, the all-new sub-compact SUV is largely identical to the Tiago hatchback with the multi-functional steering wheel with audio control buttons, central floating instrument panel, a new generation 6.5-inch Harman touchscreen infotainment system with Radio, USB, Aux and Bluetooth connectivity, reversing camera, start/stop push button, keyless entry, satellite navigation and a eight speakers audio system along with voice control and command recognition. 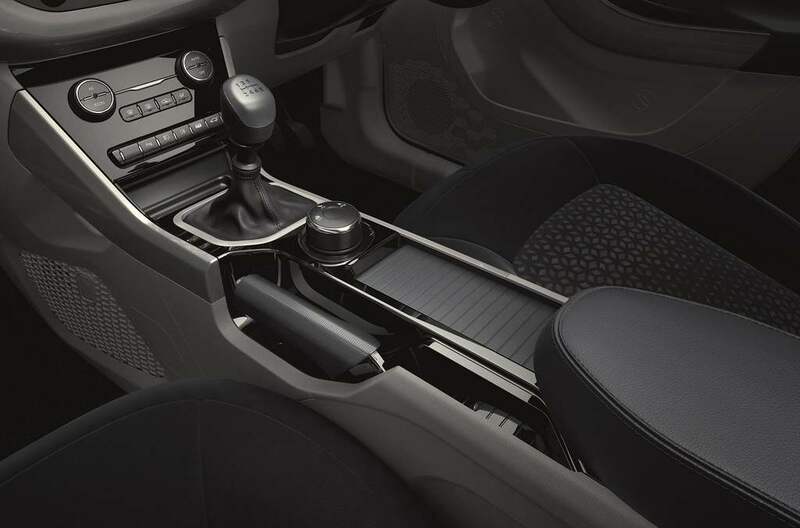 The first-in-class floating dashtop, the 6.5-inch display HD touchscreen, adds to the premium interior. 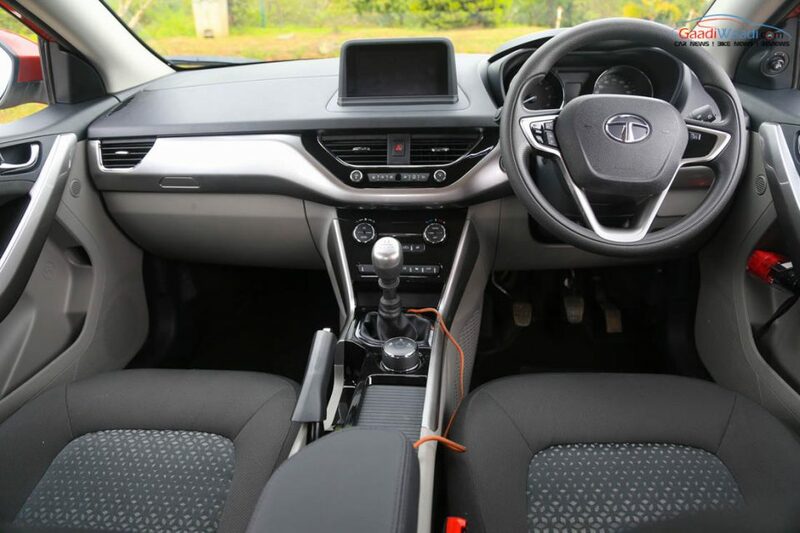 The dashtop touchscreen is said to reduce “eye-off road time” for added safety while HD screen makes graphics vivid and lively. 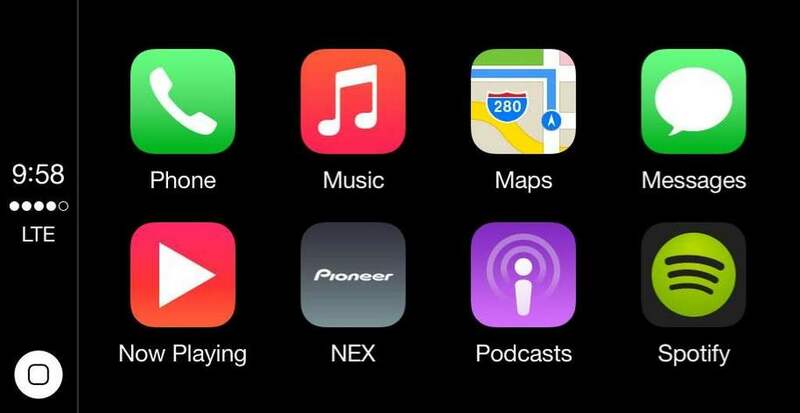 In the Nexon, the advanced Harman infotainment system enables drive mode based HMI theme. 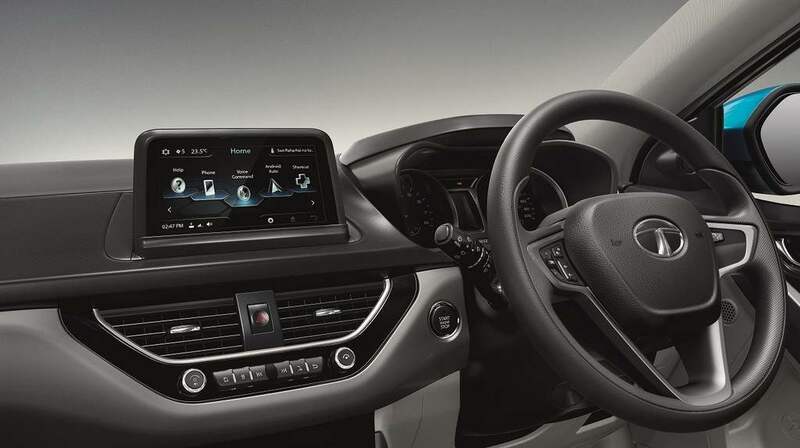 The 8-speaker system with high-fidelity audio reproduction and harmonic richness is stated to give “personalised home theatre experience.” Additionally, the Nexon comes equipped with Android Auto and Car Play (Car play to be offered soon). 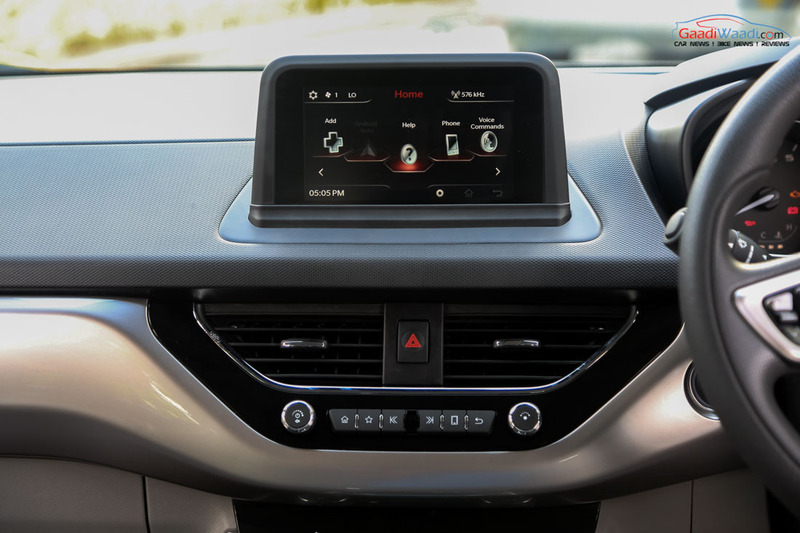 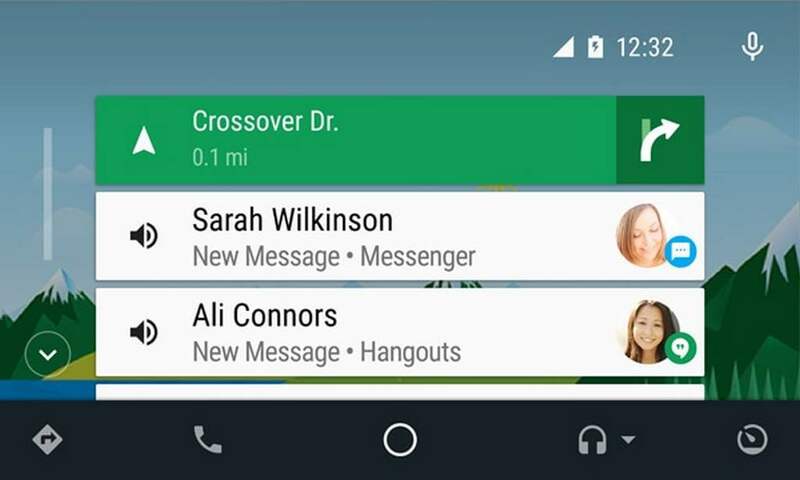 The improved connectivity with Google’s android auto via USB helps user to access calling, messaging, navigation and voice assistance from the infotainment system with the ability of read text and Whatsapp messages and voice based reply commands. 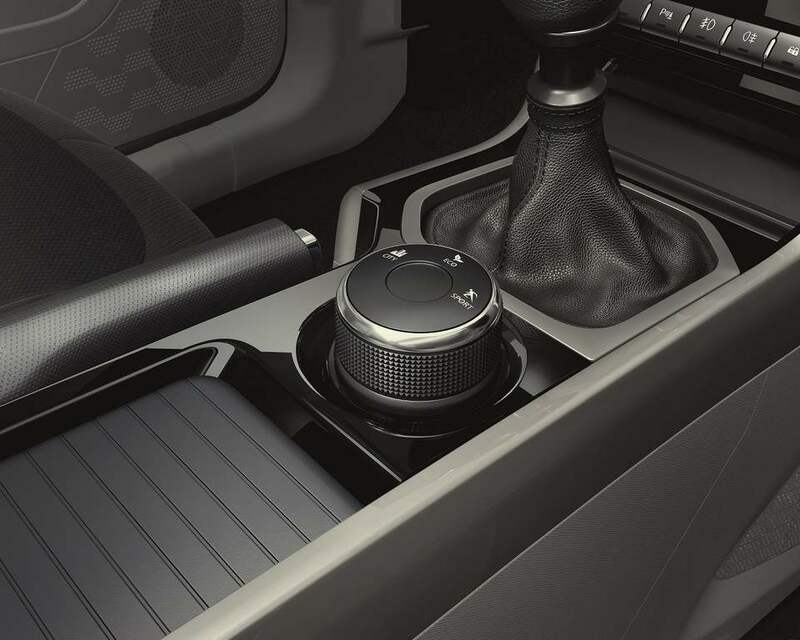 The “Grand Central Console”, inspired by high end cars, boasts unique sliding tambour door mechanism for easy storage space. 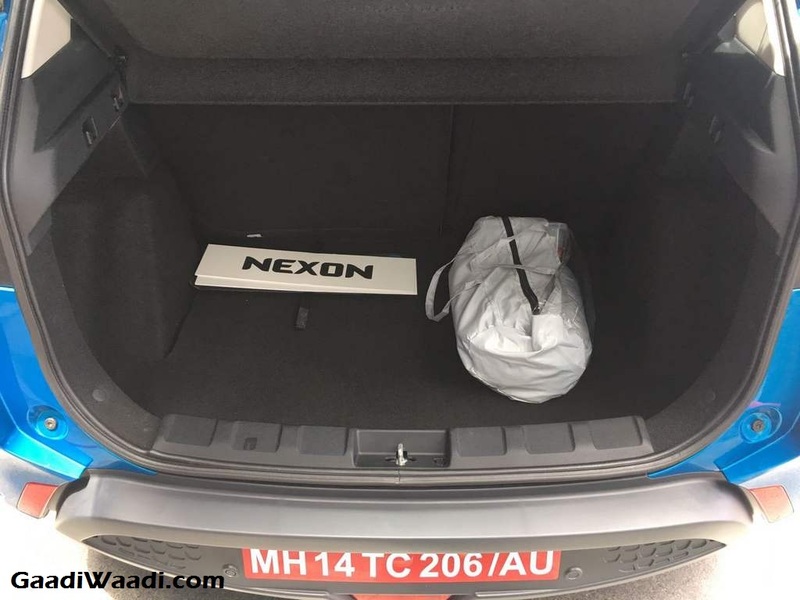 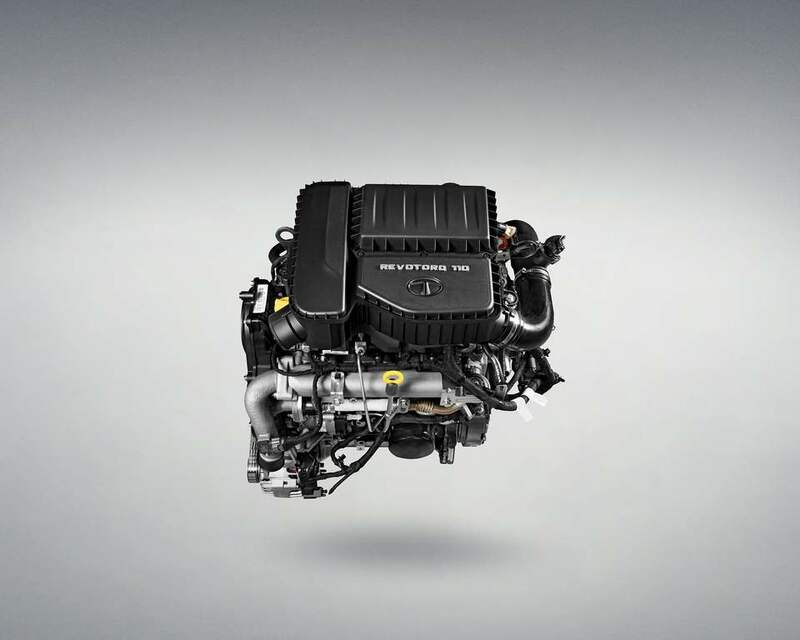 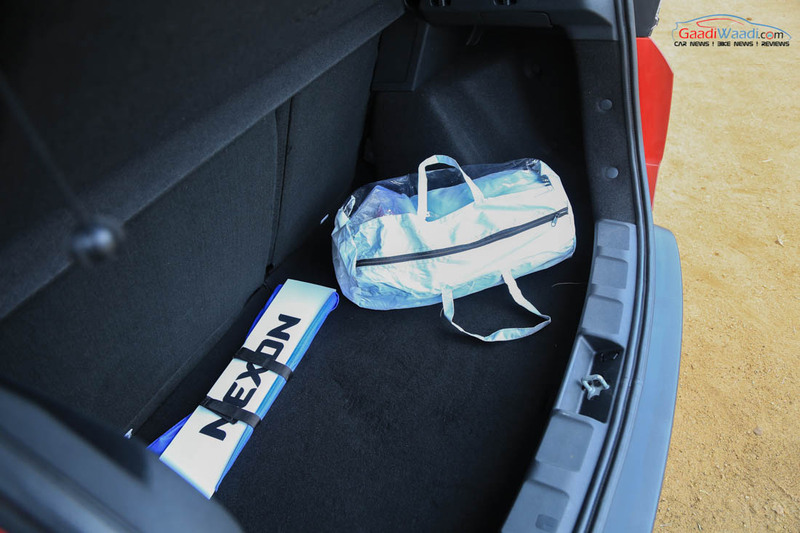 The Nexon’s powertrain line-up features a new diesel engine and an uprated petrol engine. 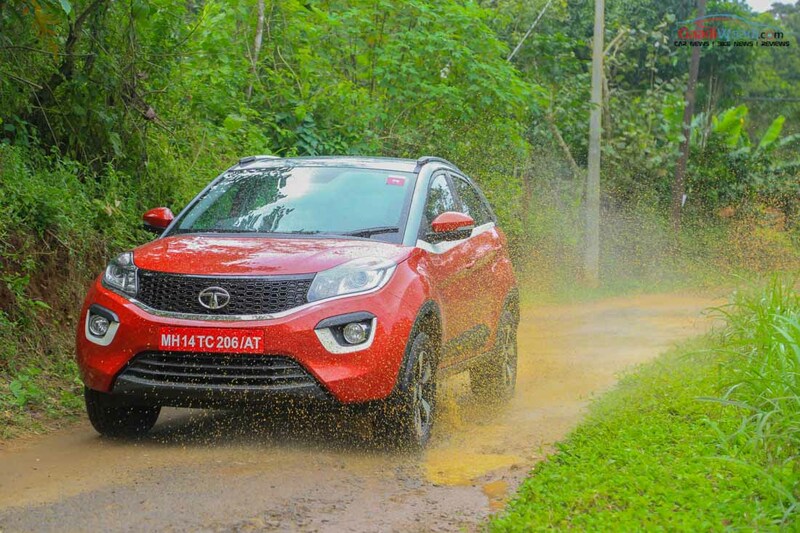 The new 1.5-litre four-cylinder diesel mill producing 110 PS at 3,750 rpm of power and 260 Nm of torque at 1,500-2,750 rpm is mated with a six-speed manual or AMT transmission. 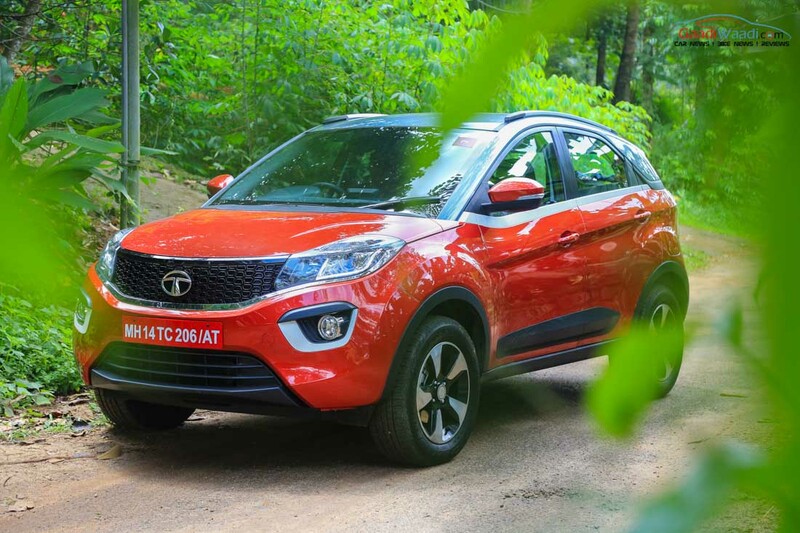 The 1.2-litre Revotron three-cylinder turbo-petrol engine, that does duty on the Tata Zest, Tiago and Tigor, is uprated to develop a maximum power output of 110 PS at 5,000 rpm and 170 Nm of torque between 2,000 and 4,000 rpm and it is also linked with a six-speed manual or AMT gearbox. 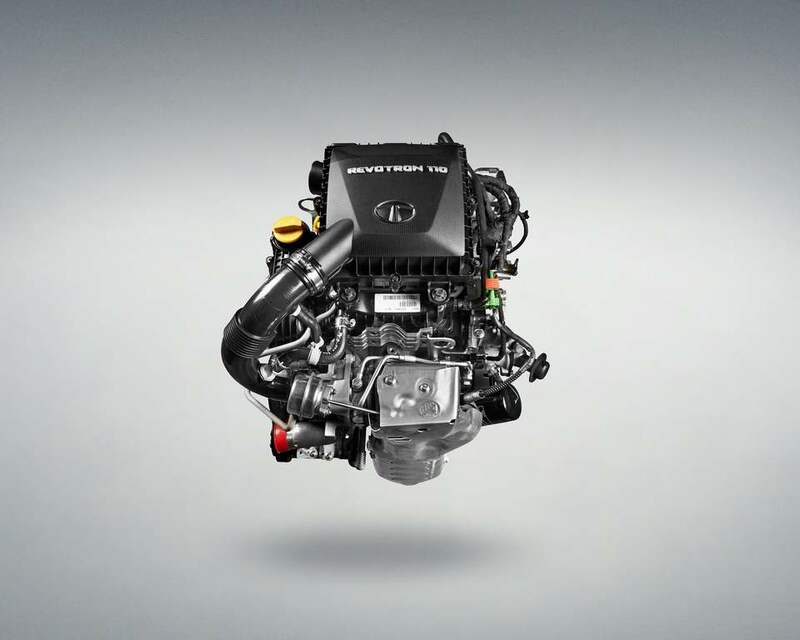 The petrol engine is produced at Sanand plant while the diesel is rolled out from the Ranjangaon facility. 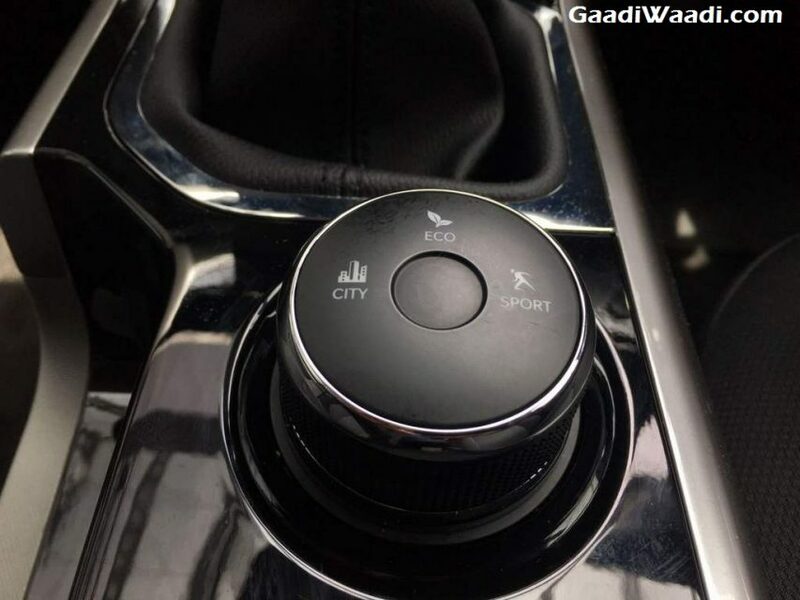 Both the power units will have first-in-segment Eco, City and Sport driving modes. 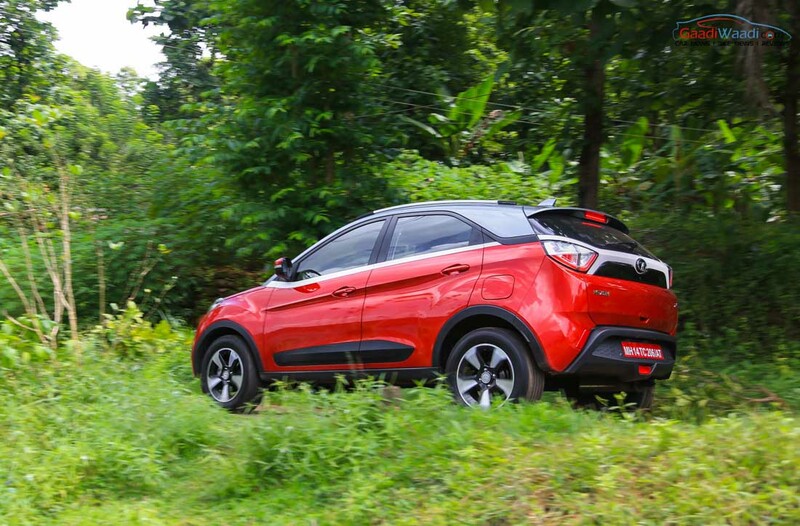 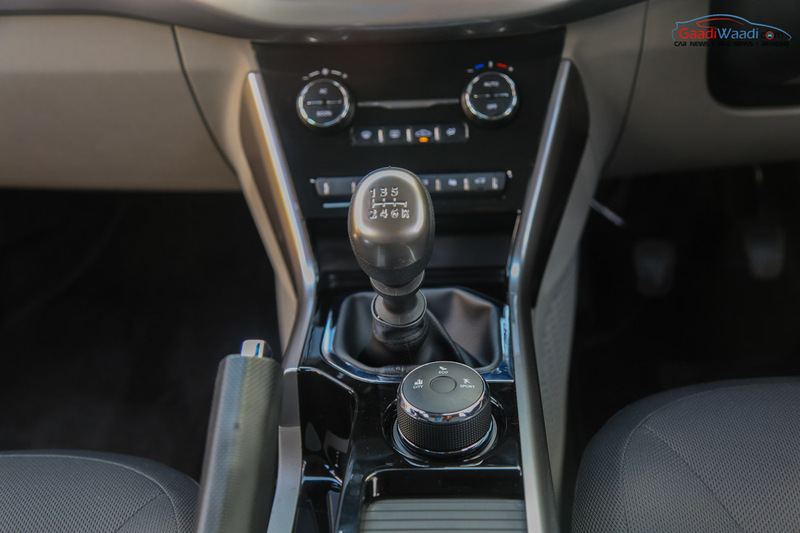 The first-in-segment Multi Drive Mode function allows for seamless switch between the three drive modes to experience different personalities of the Nexon. 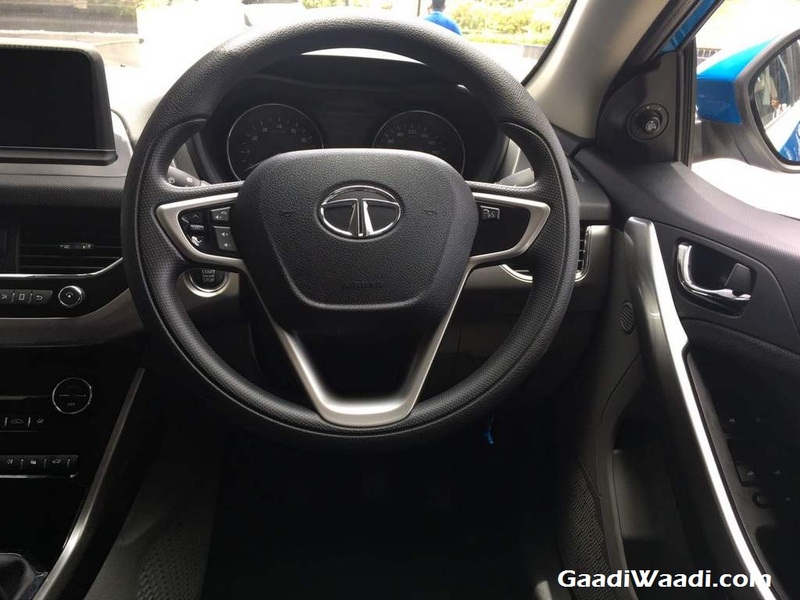 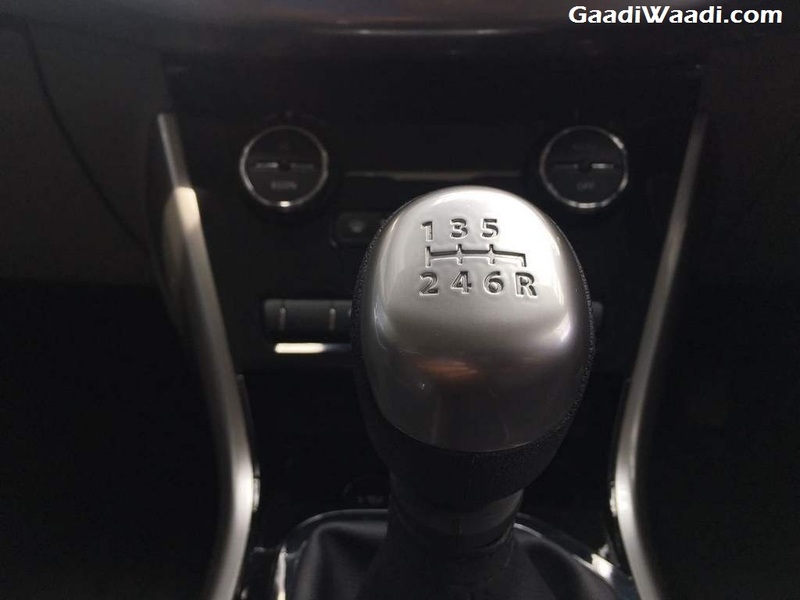 Each mode ensures that vehicle delivers the performance as per the requirement of driver according to the brand. 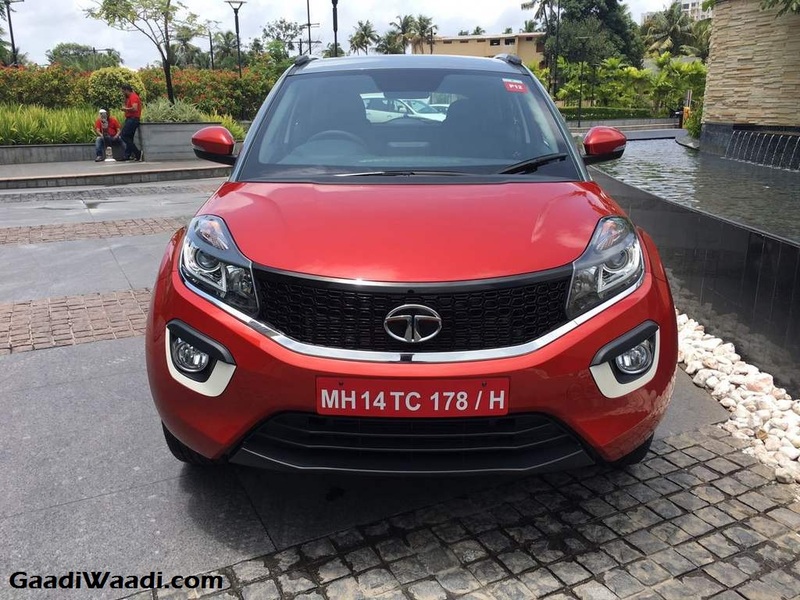 Tata says Sport mode is for “spirited driving” delivering 260 Nm maximum torque in diesel variants while City mode allows to cruise easily in traffic. 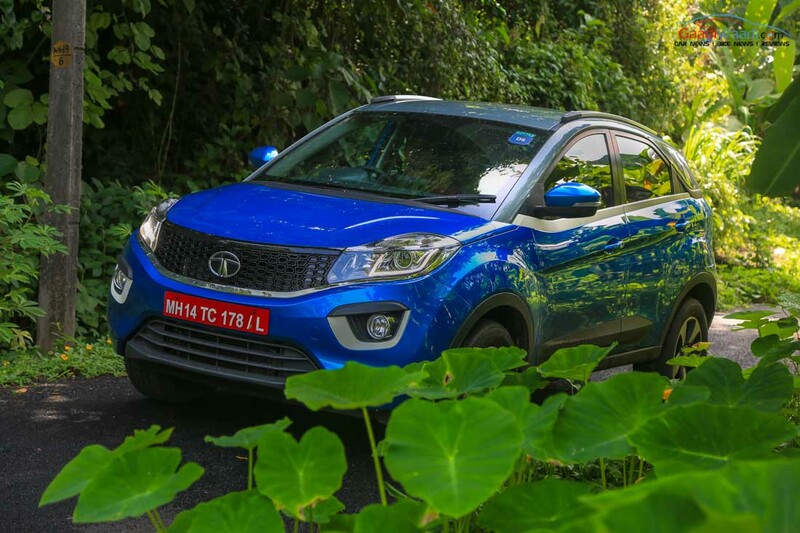 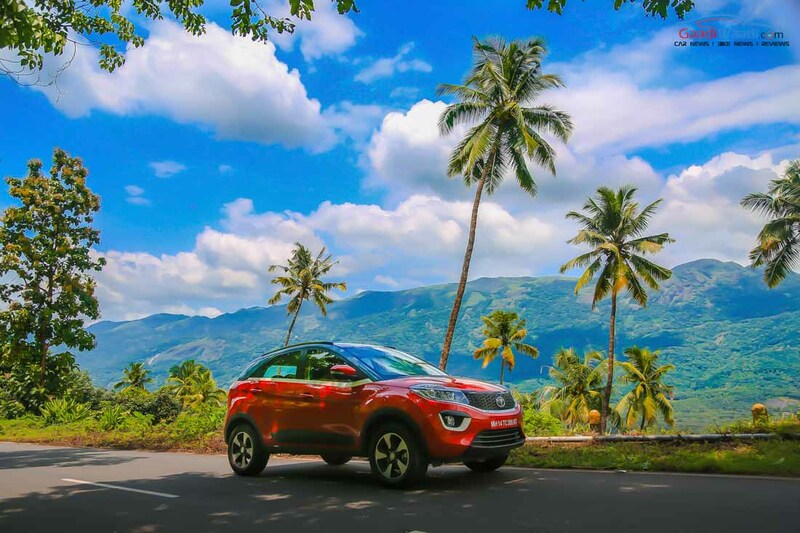 The Tata Nexon is ARAI certified to return a mileage of 17.88 kmpl for petrol and 23.97 kmpl for diesel variants. 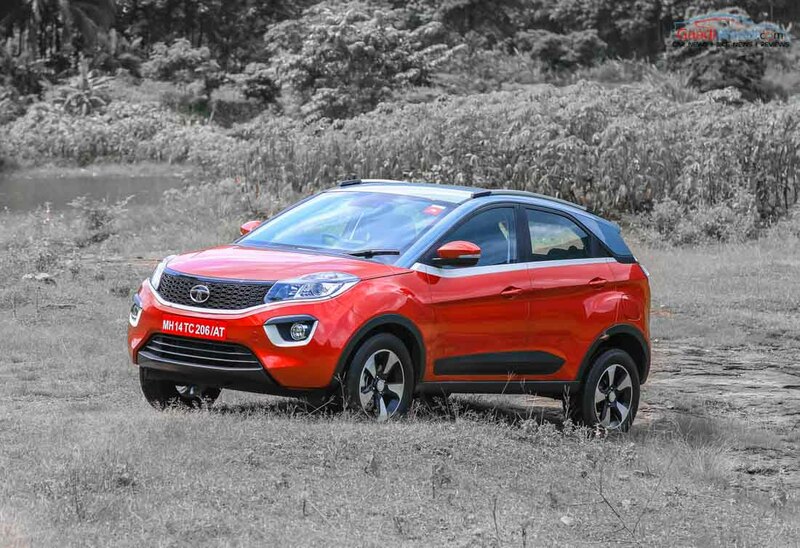 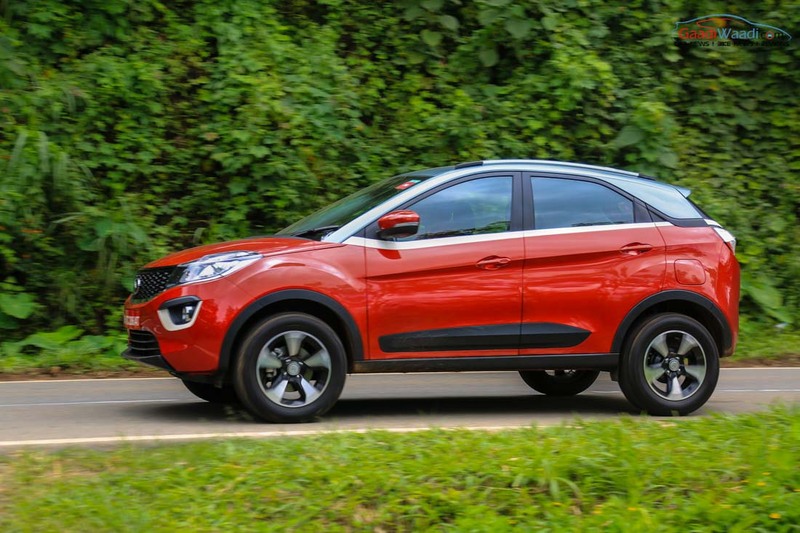 The Tata Nexon is vying for spotlight against Ford EcoSport, Mahindra TUV300, Maruti Suzuki Vitara Brezza and the likes.